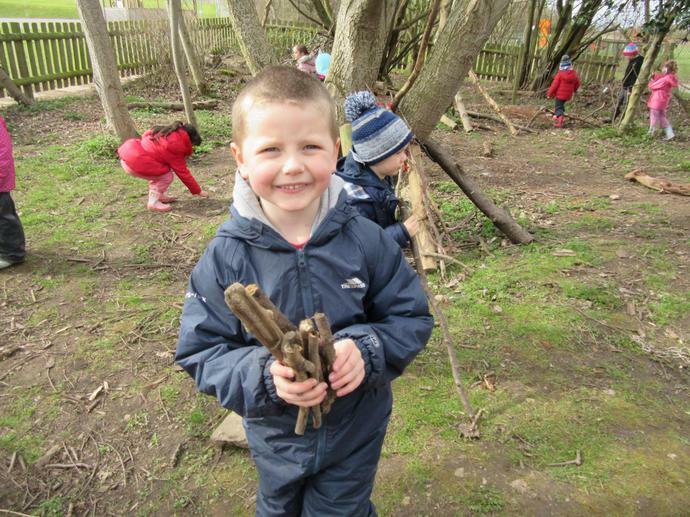 Forest school will be going ahead on Thursday afternoon this week. 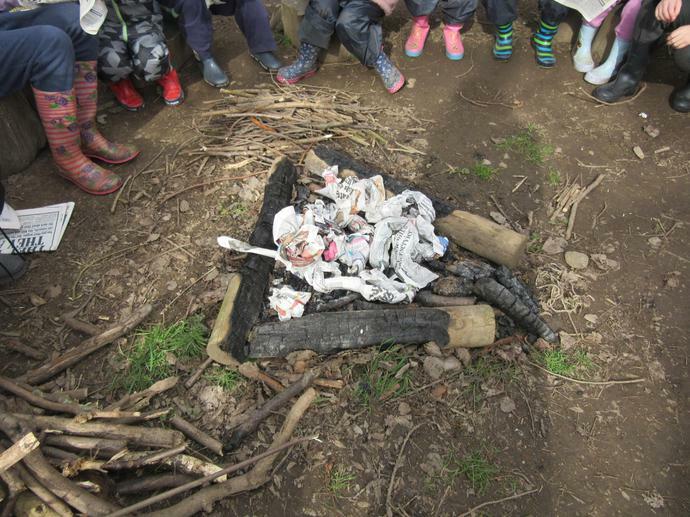 So could all children please come to school dressed in their old clothes, and bring with them waterproofs and wellies in a bag if they are not already in school. 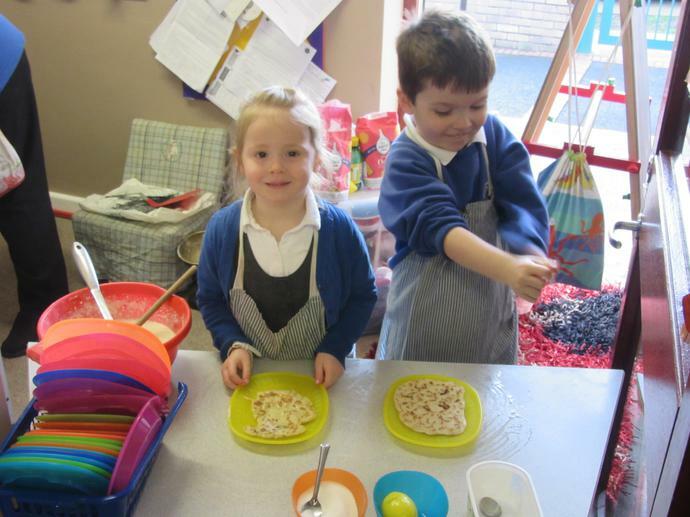 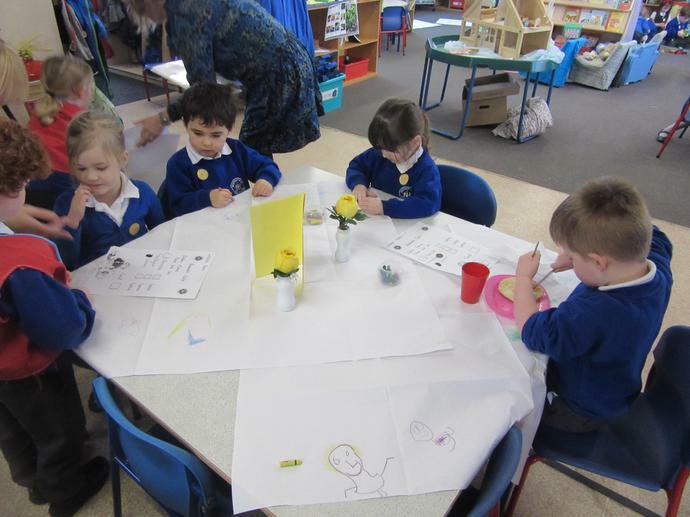 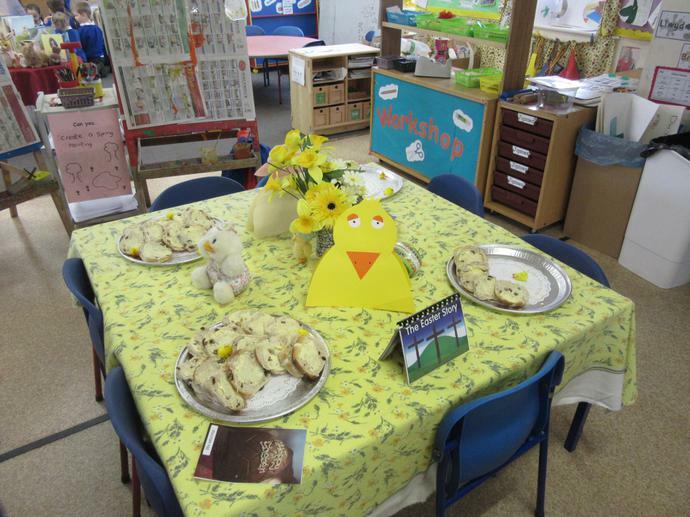 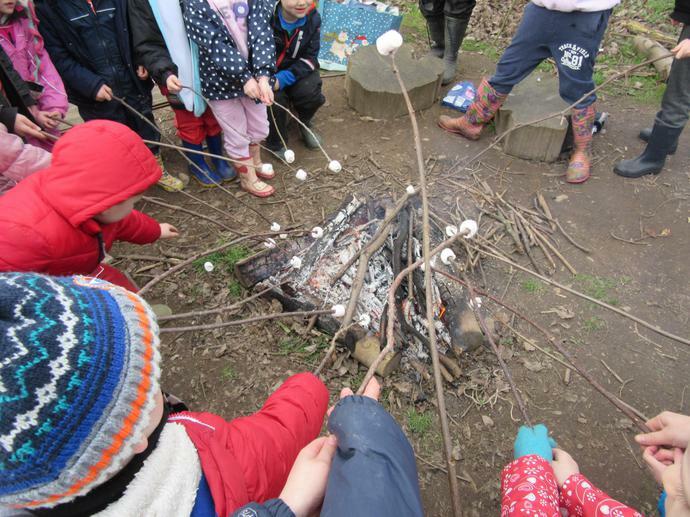 No 'Forest school' this week ( Thursday 7th July ) as we have Pensioners Tea in the afternoon, please could all children come to school dressed in their school uniform. 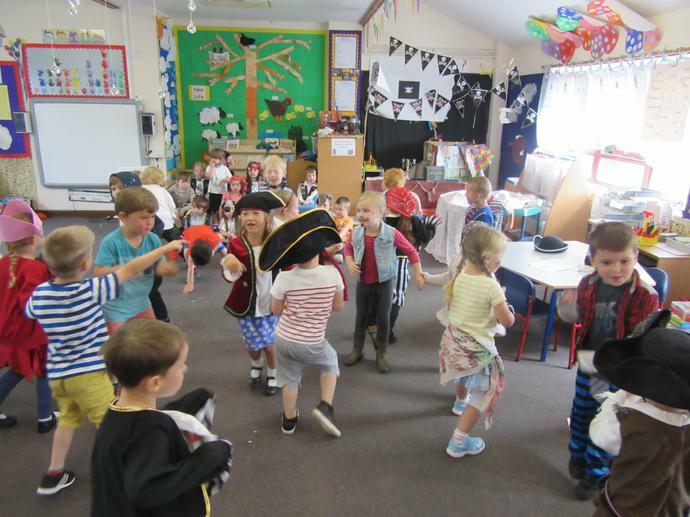 We are celebrating the end of our topic by having a ‘Pirate’ Party on Wednesday 13th July. 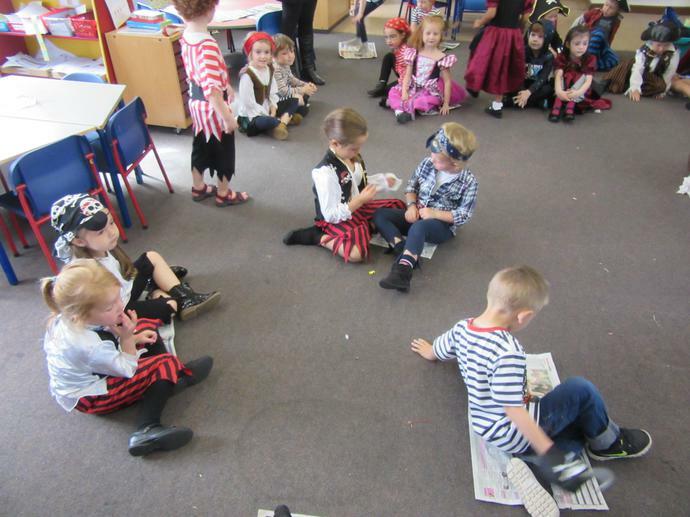 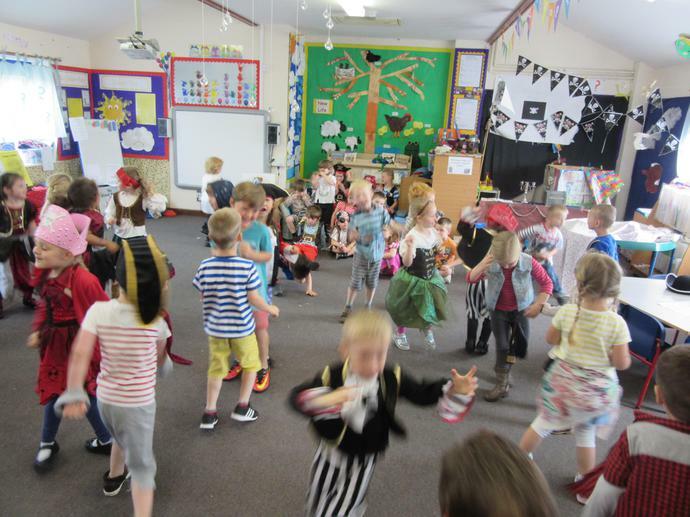 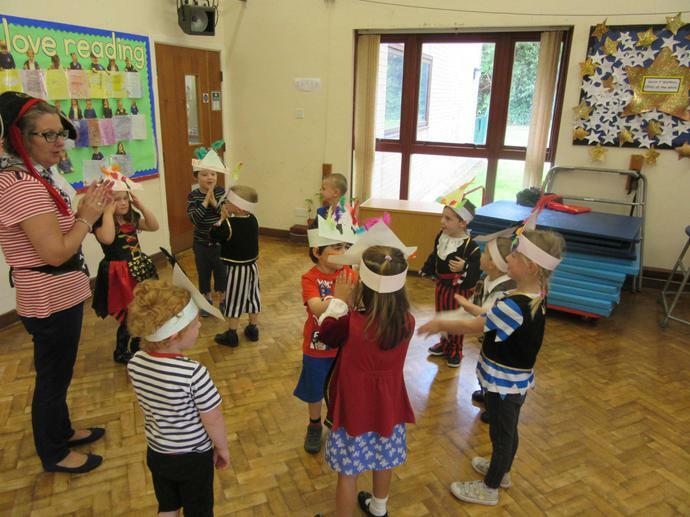 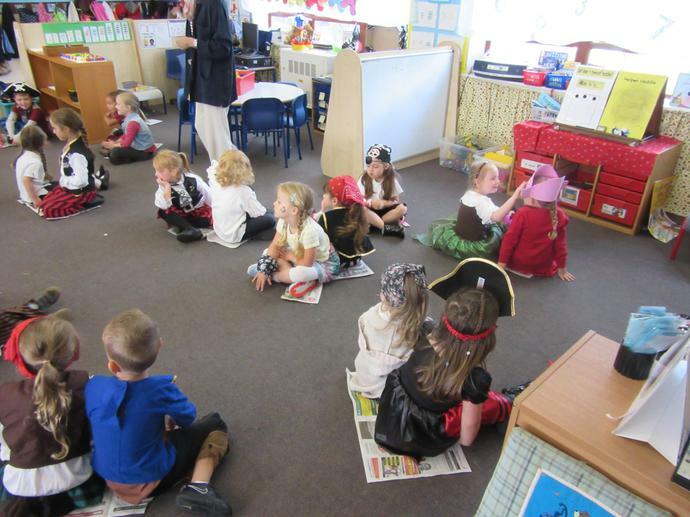 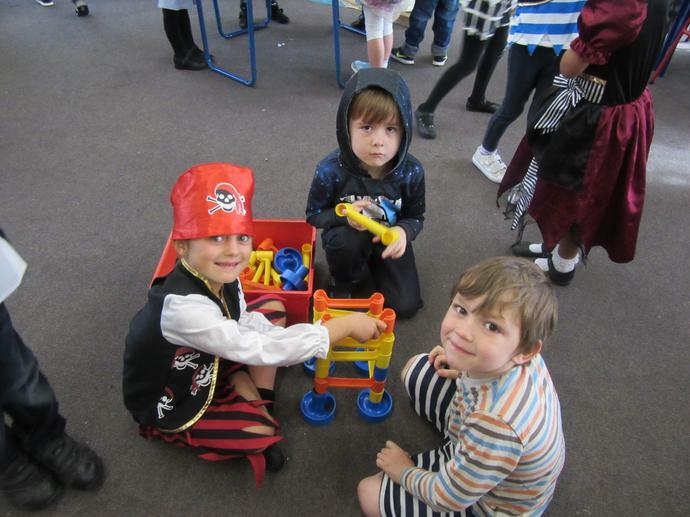 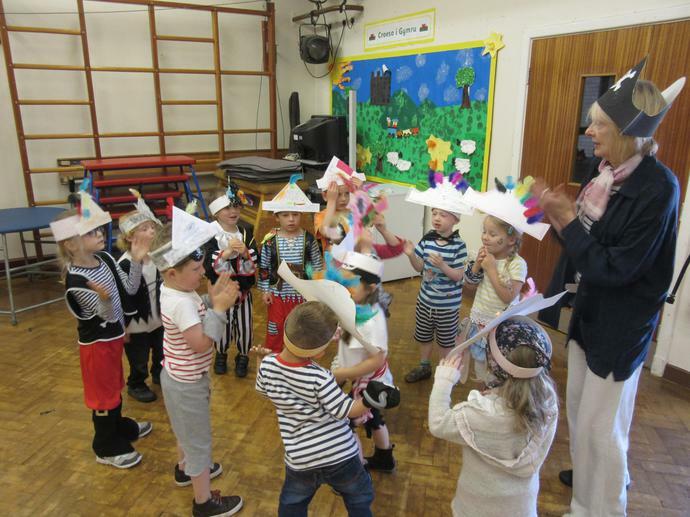 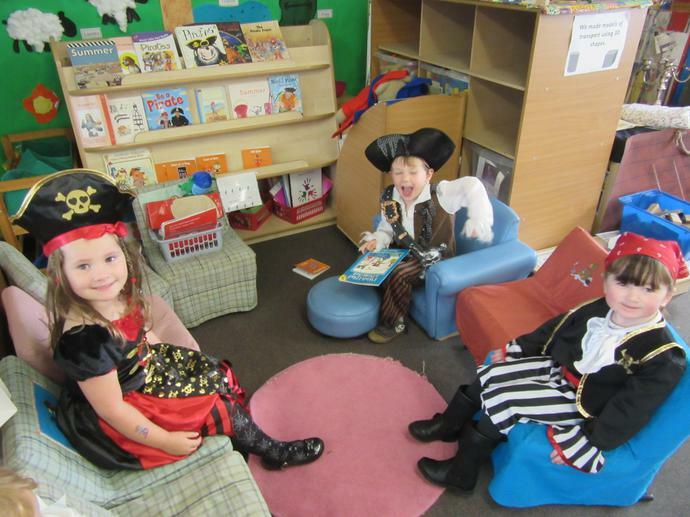 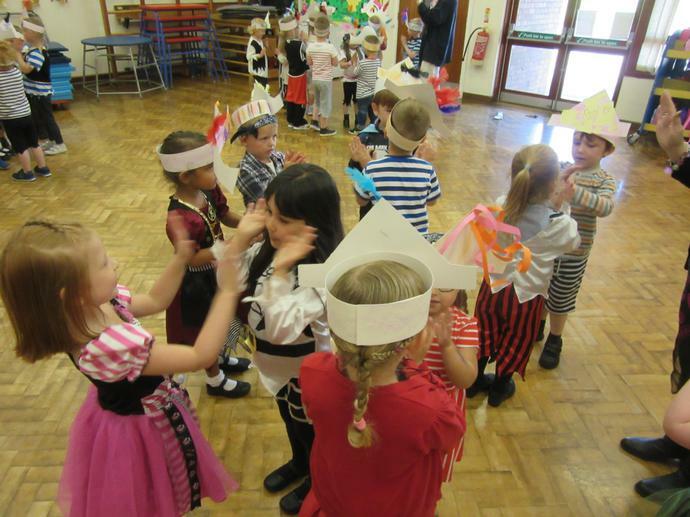 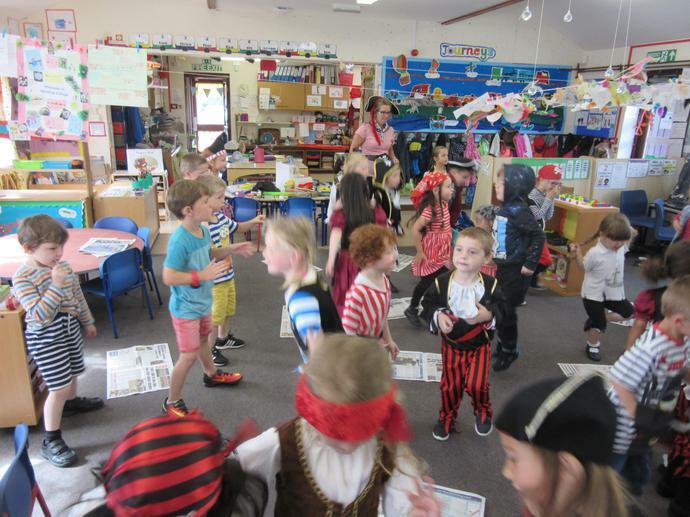 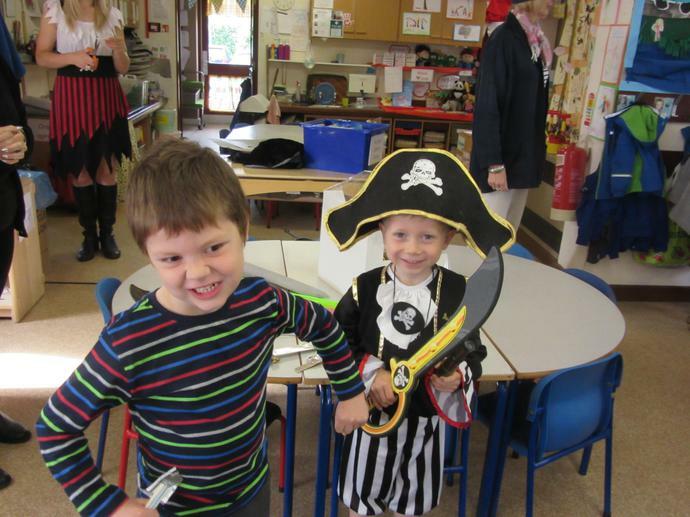 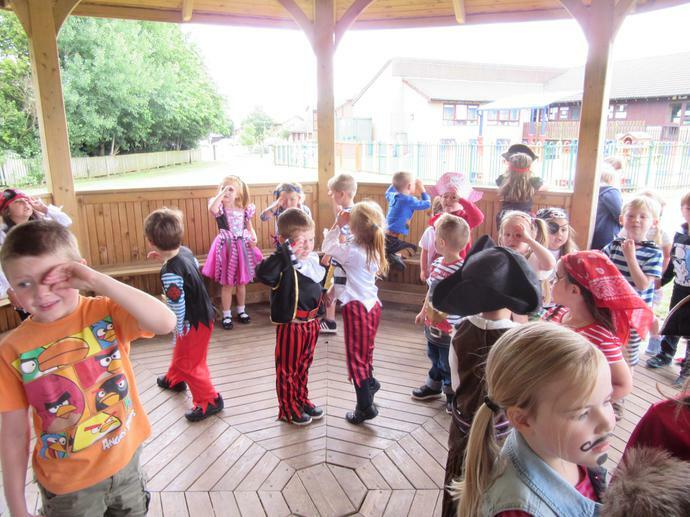 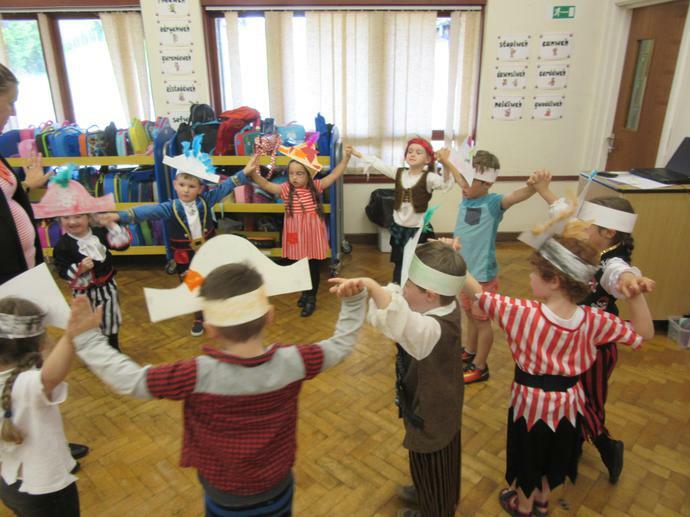 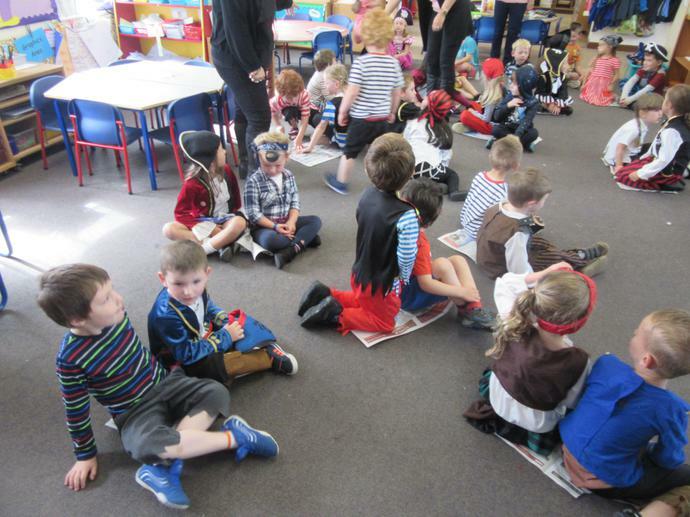 Pirate costumes can be worn for party day. 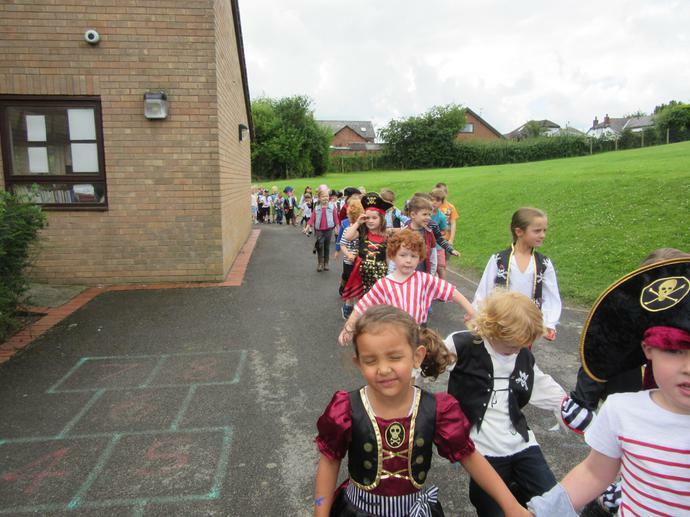 Reminder for Move Up Day. 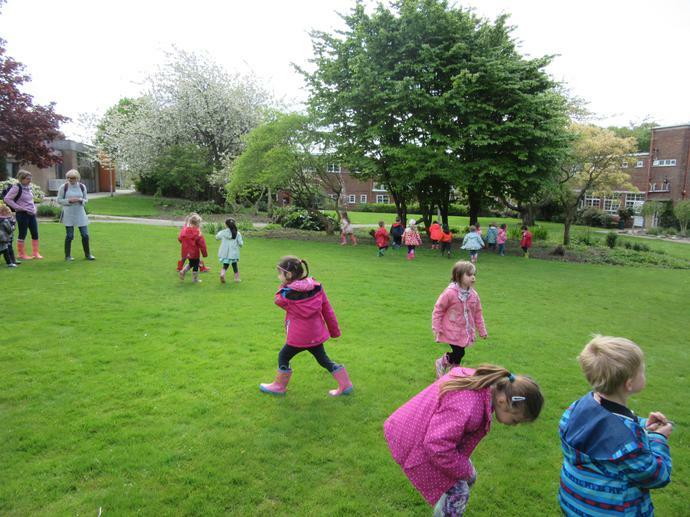 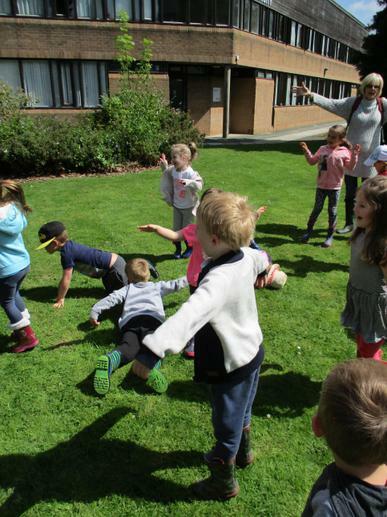 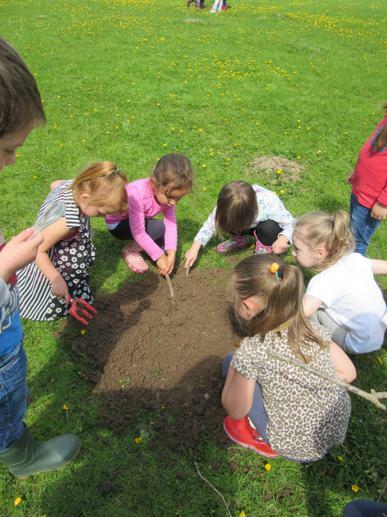 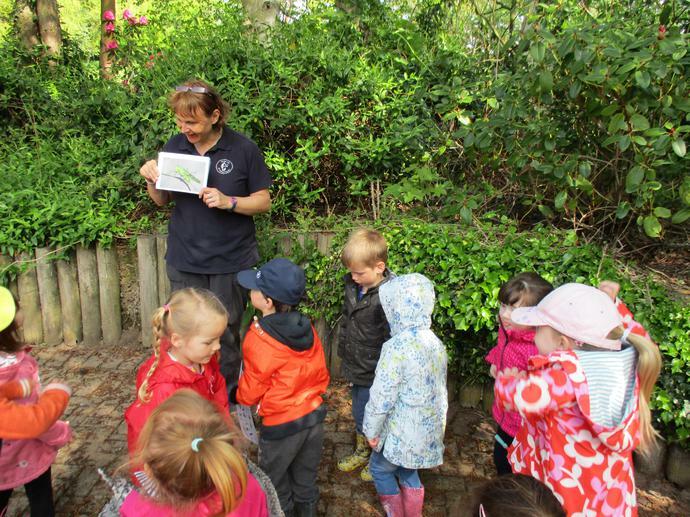 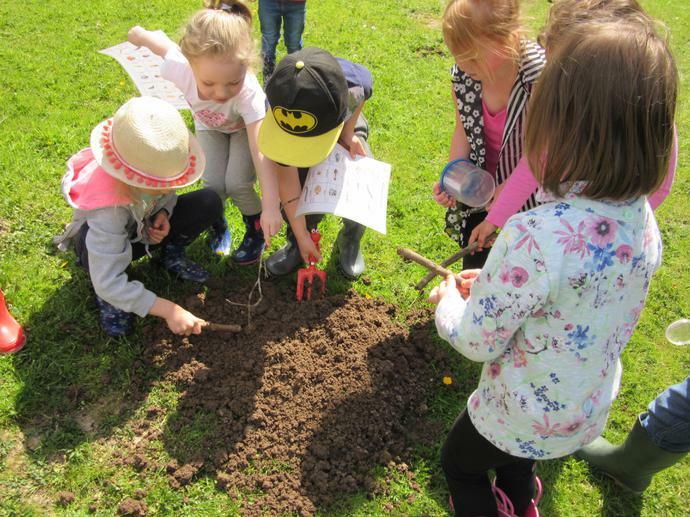 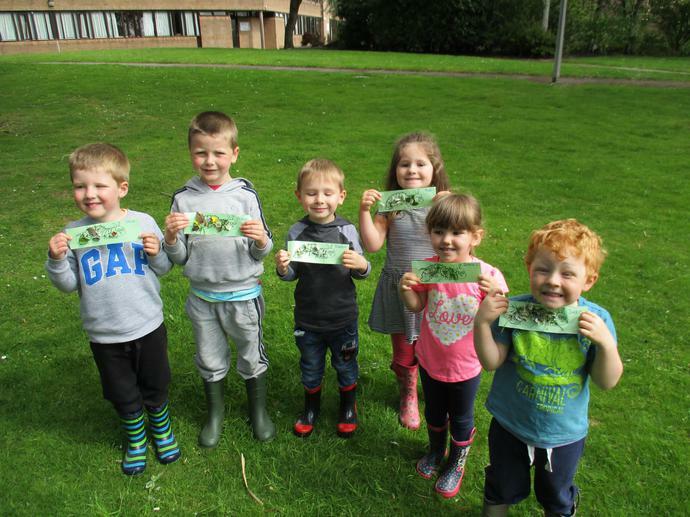 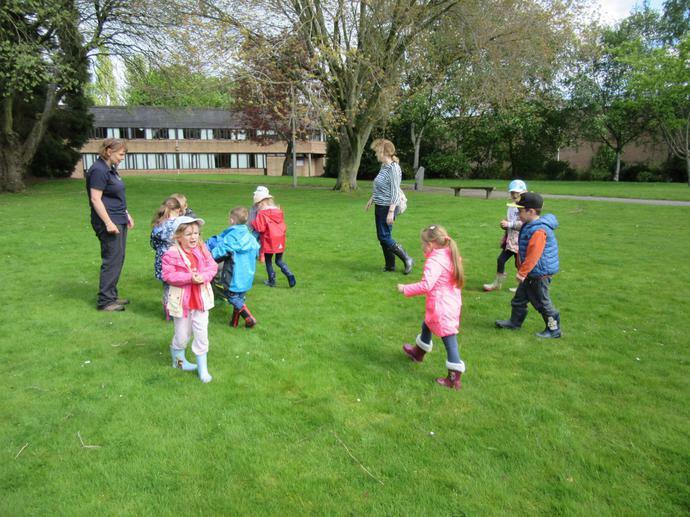 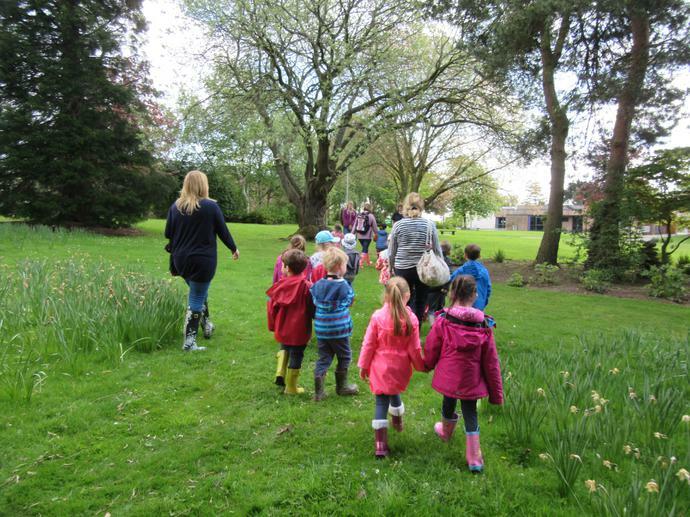 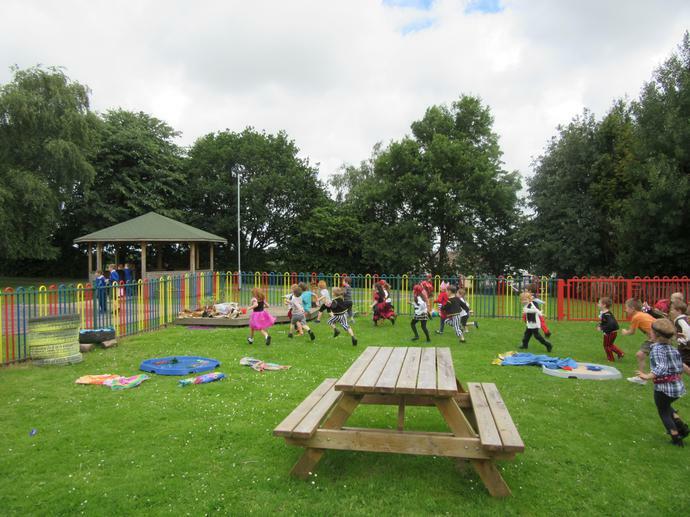 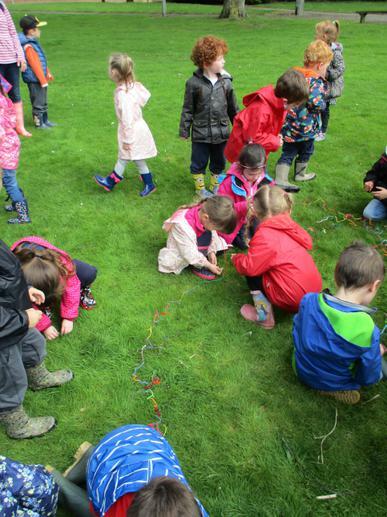 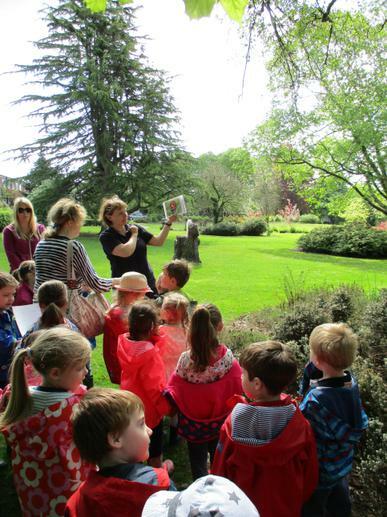 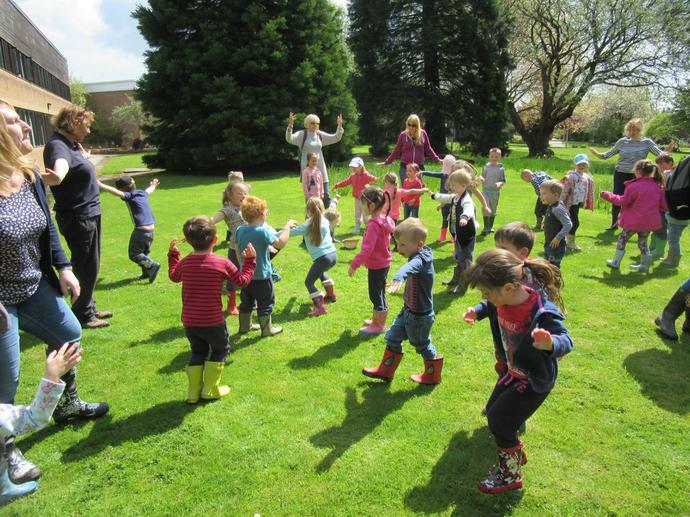 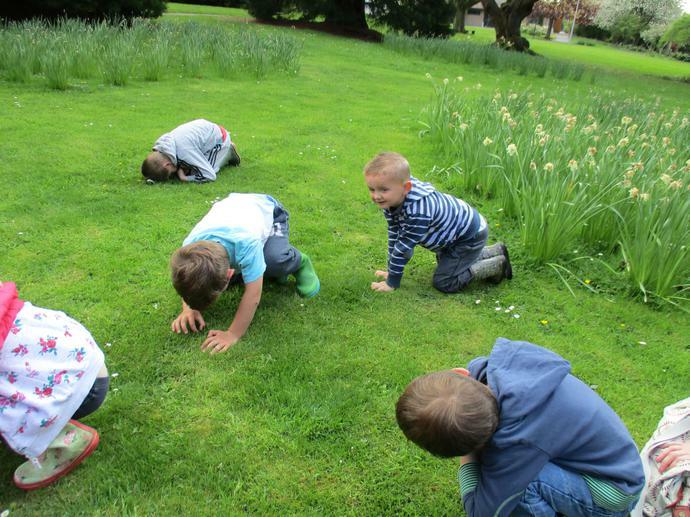 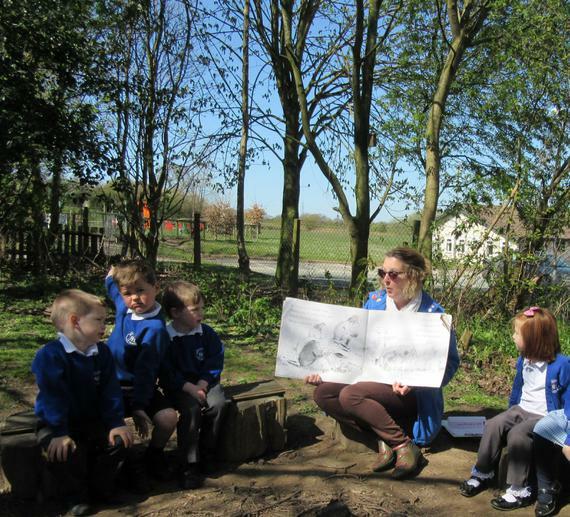 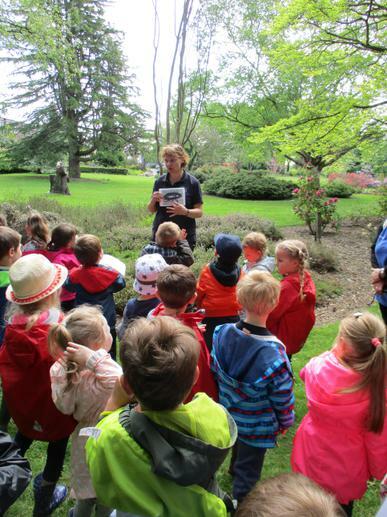 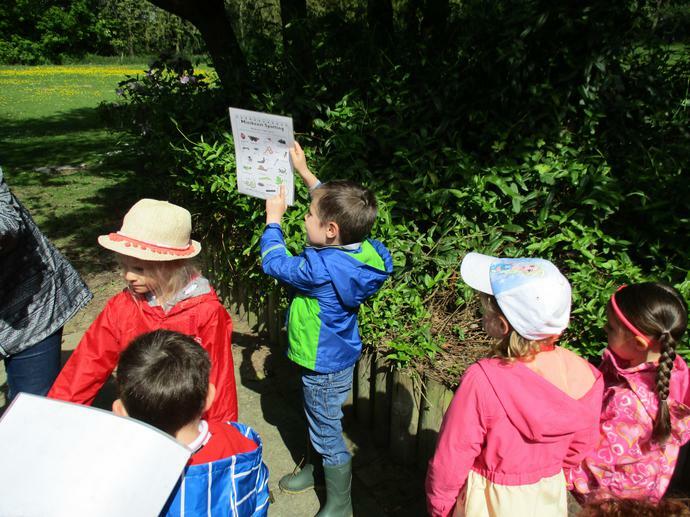 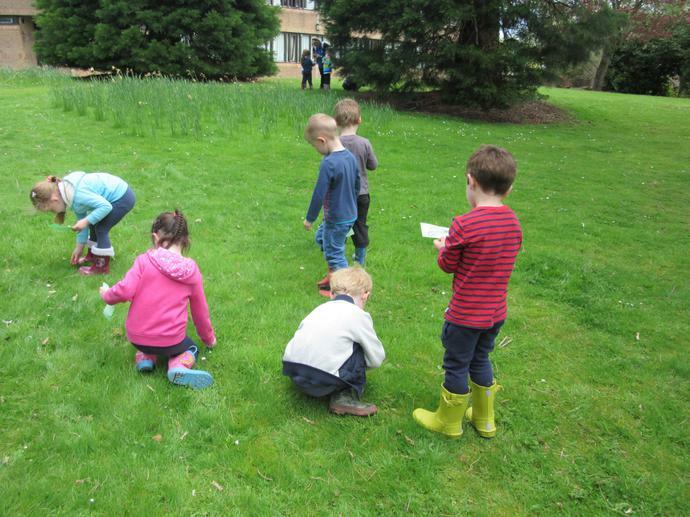 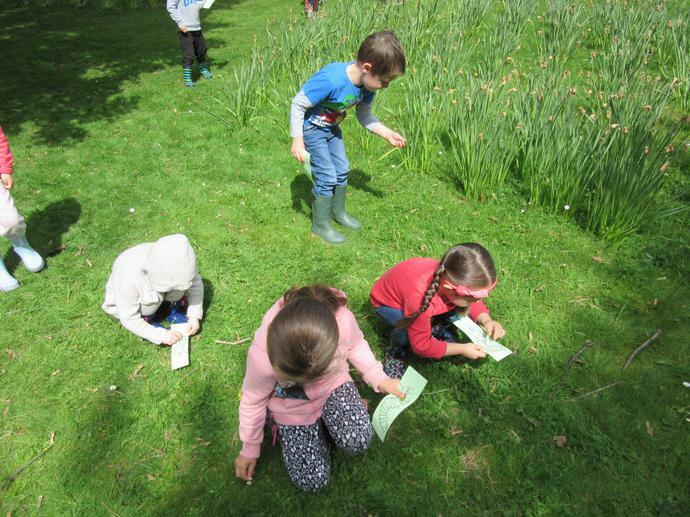 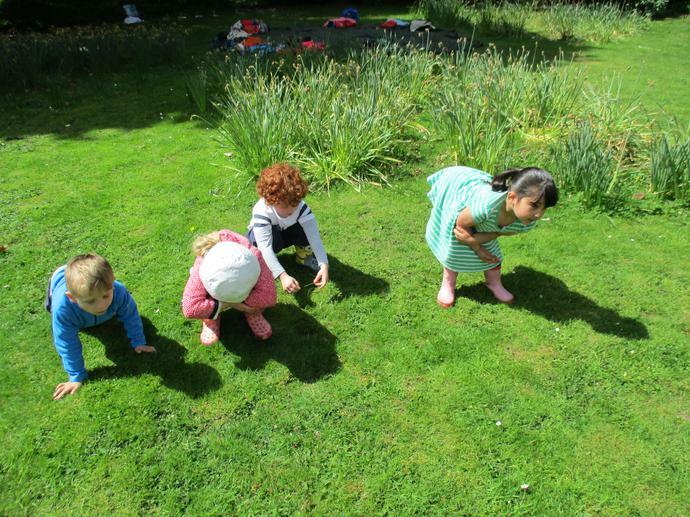 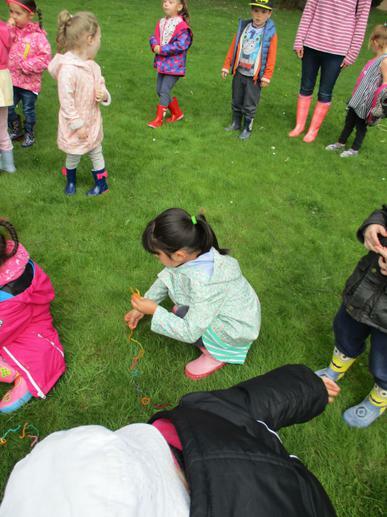 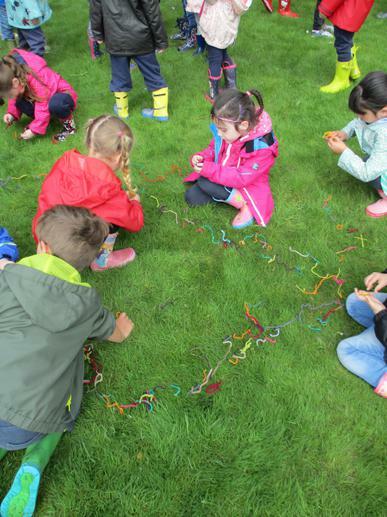 There will be no forest school on Thursday 30th June for reception, as they will be moving up to Year 1 for the day. 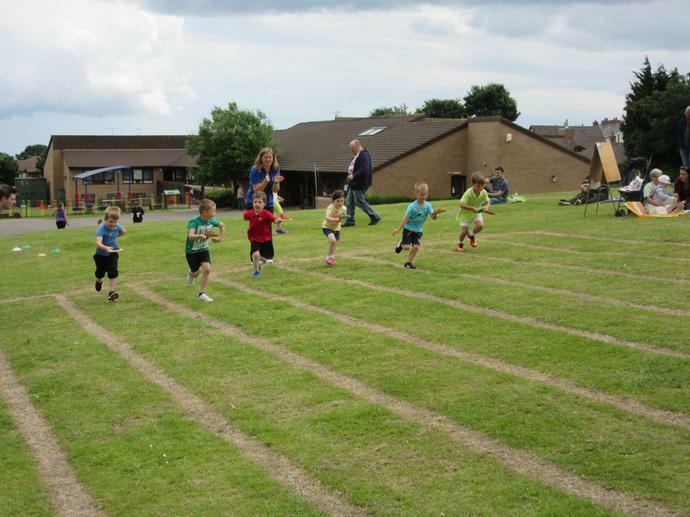 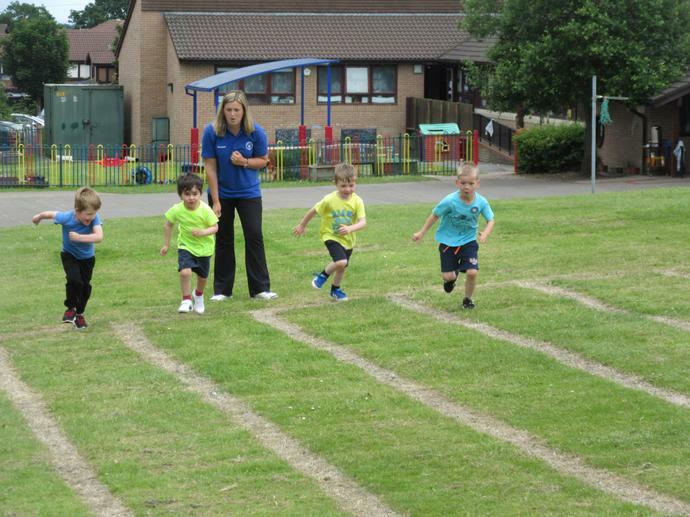 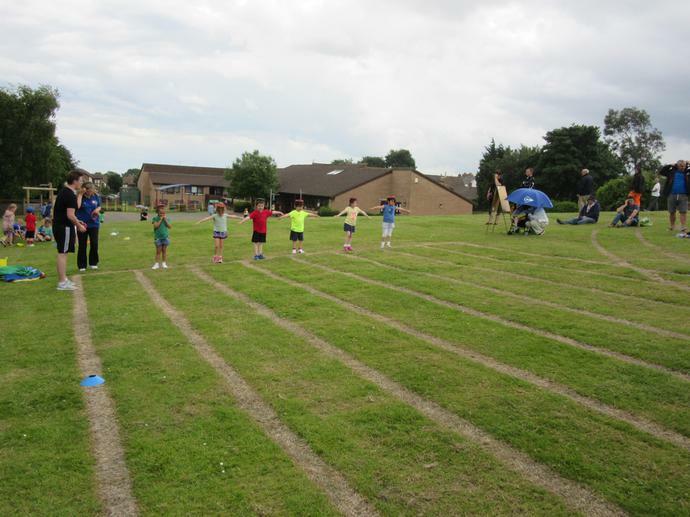 We had lots of fun on our Sports Day. 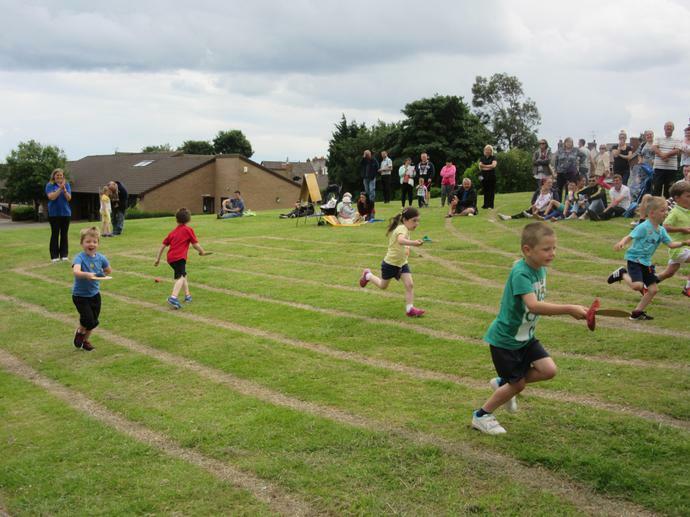 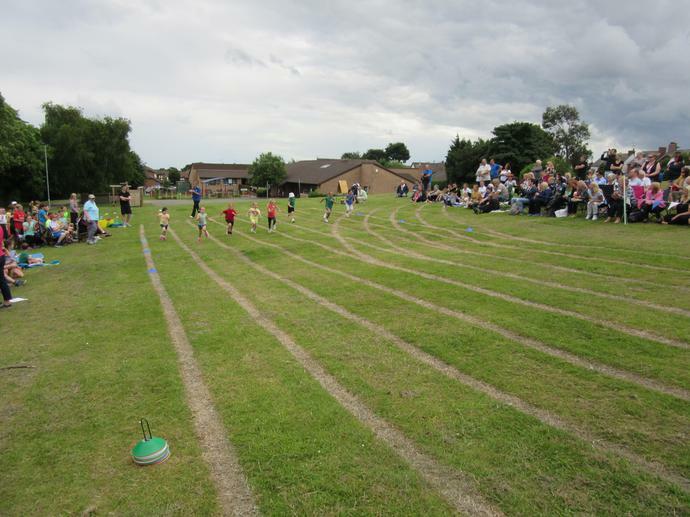 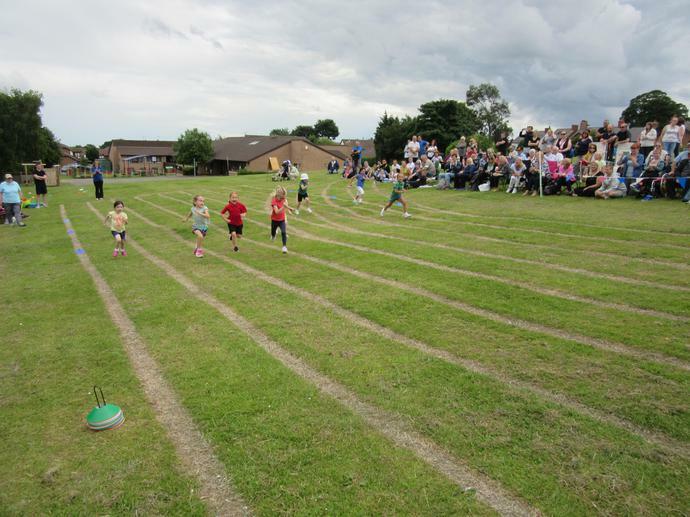 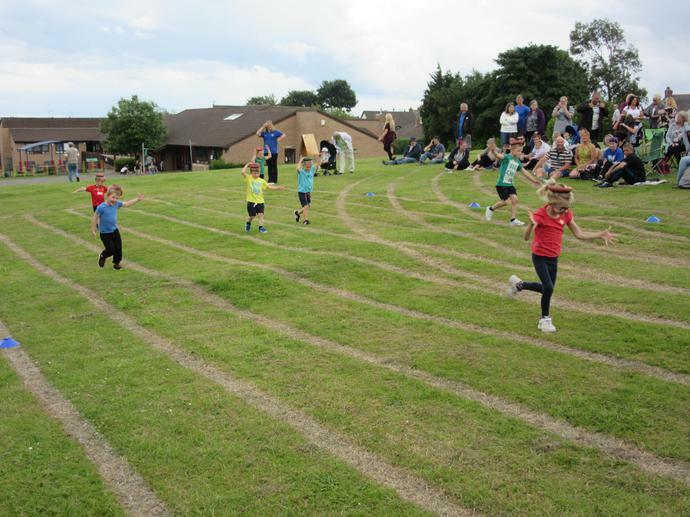 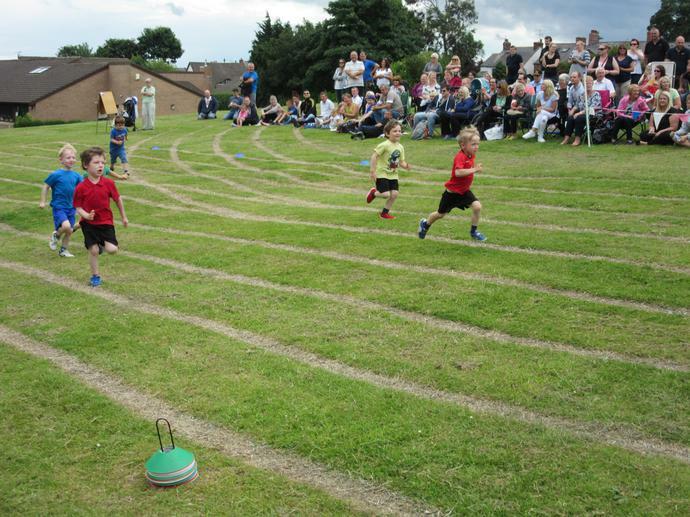 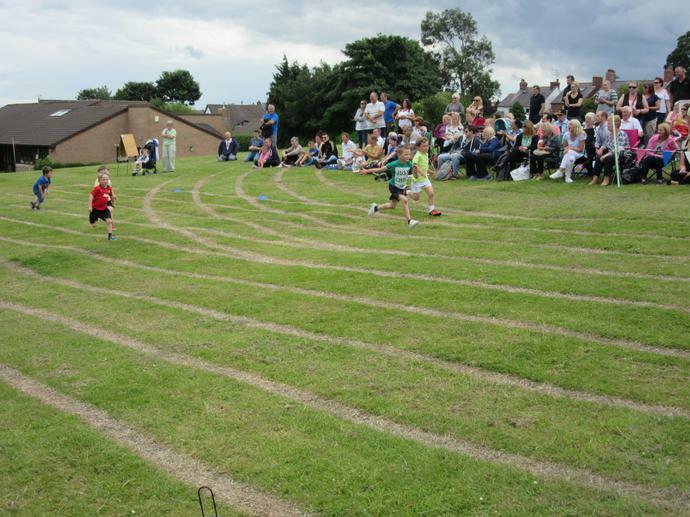 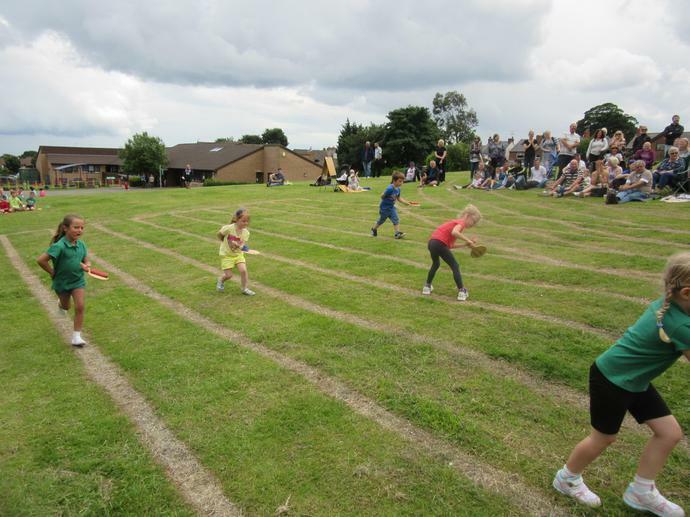 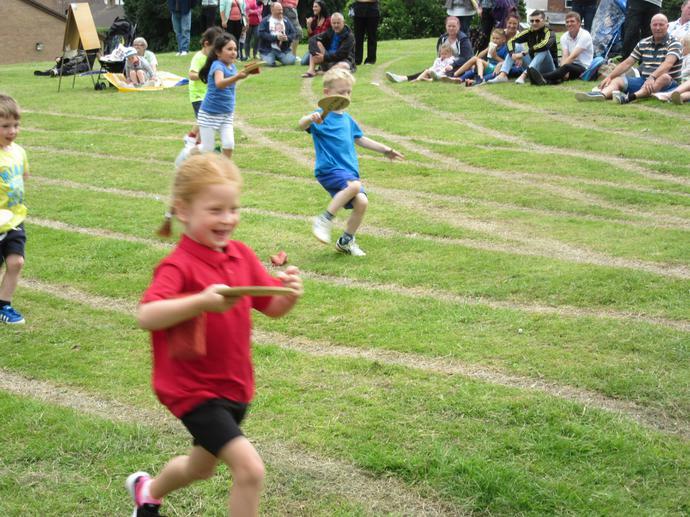 We are all keeping our fingers crossed that Sports Day will be going ahead on Friday 24th June, although the weather forcast is not looking good. 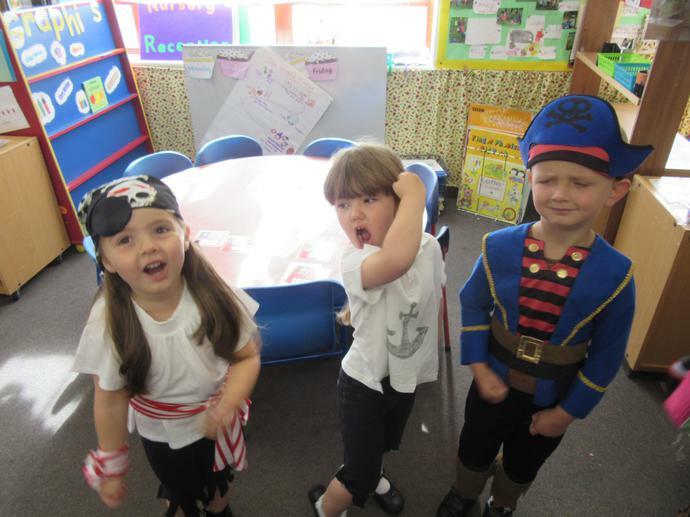 Can all children please come to school dressed in their team colours. 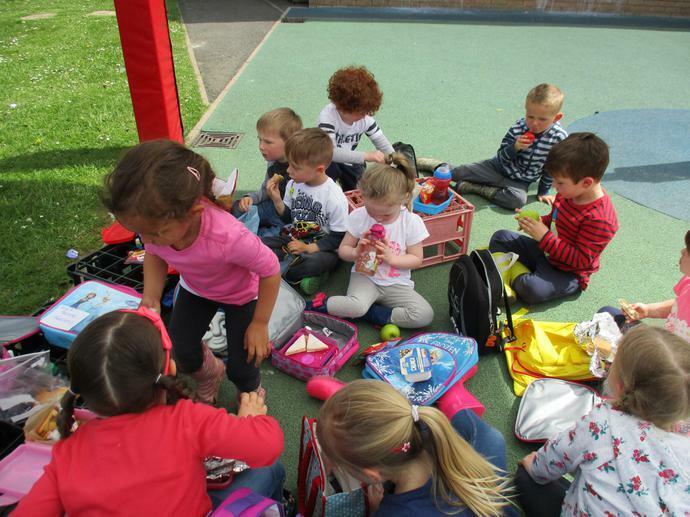 Your child will need a sun hat and a small bottle of water. 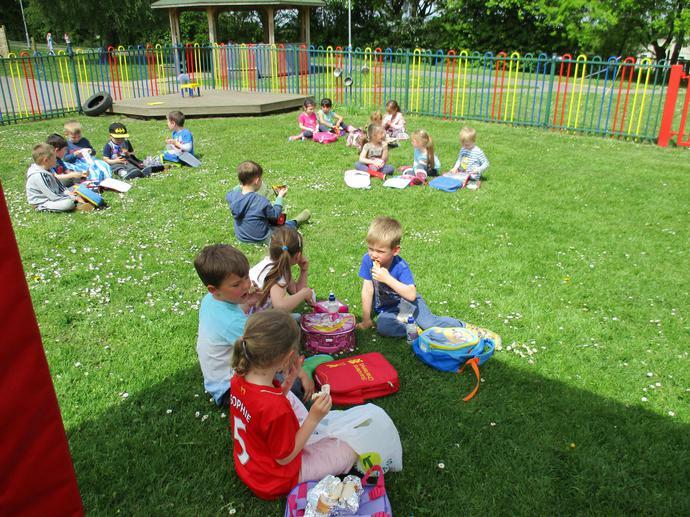 Please supply your child with suncream ( remember to label with your childs name). 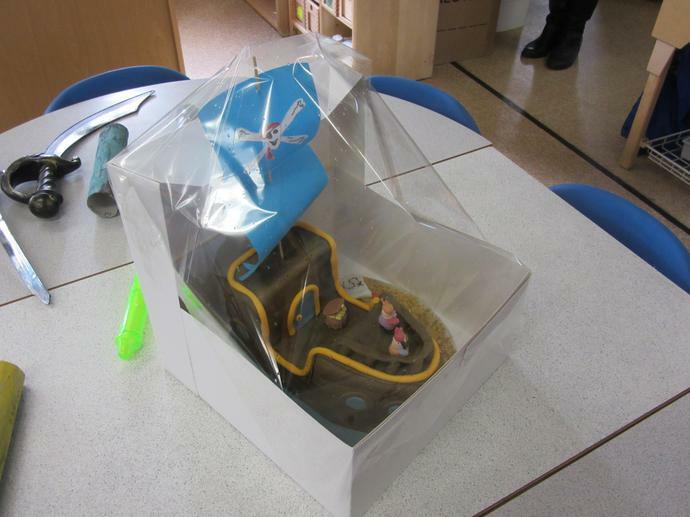 Summer Term 1 - Our Journeys topic. 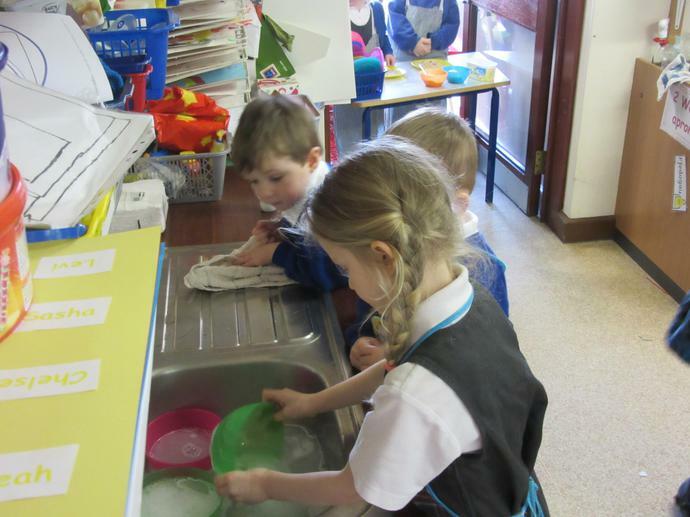 Going on a measuring journey. 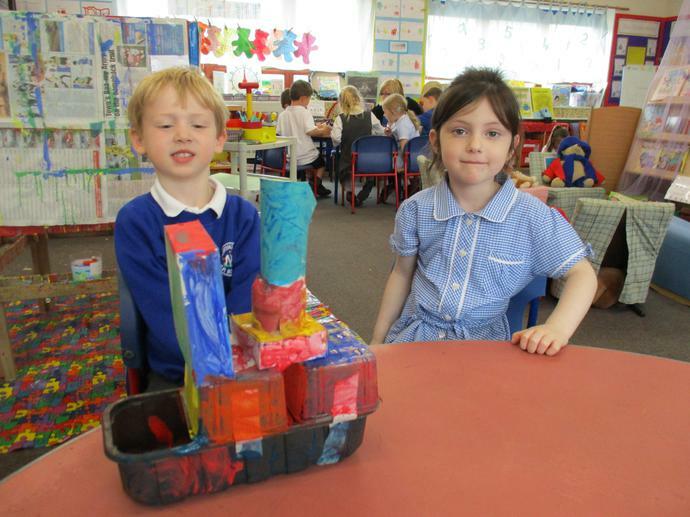 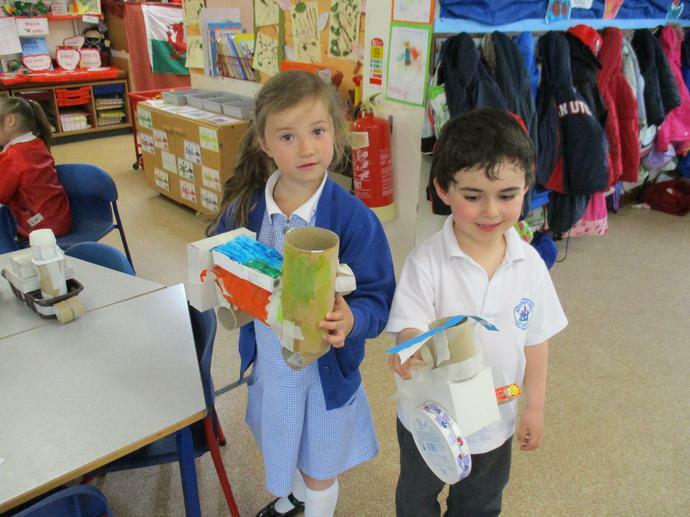 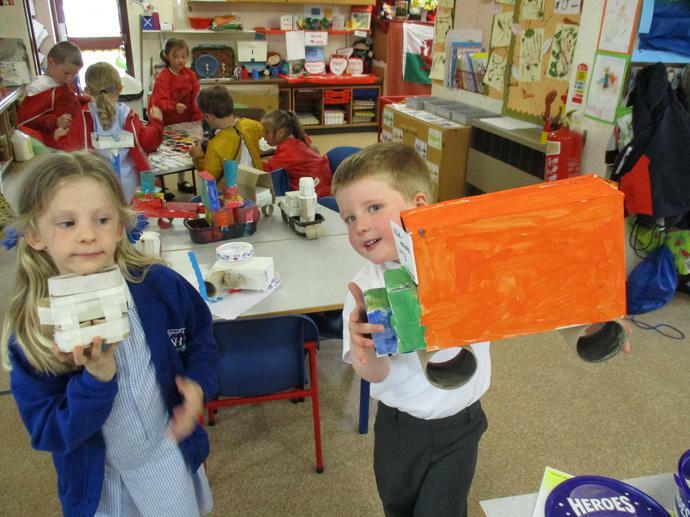 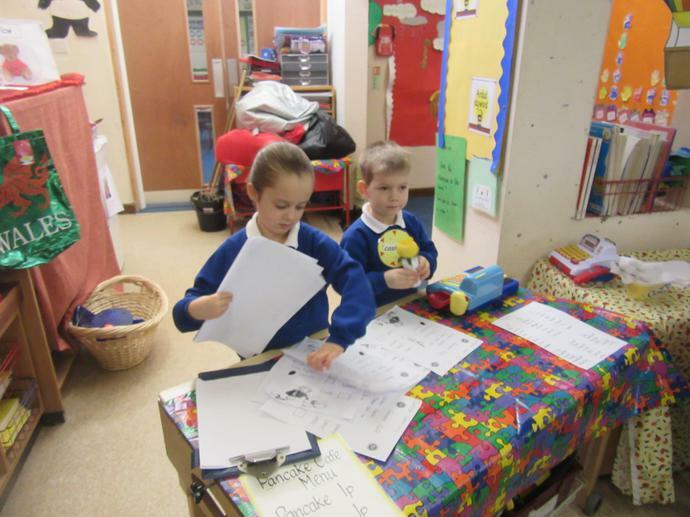 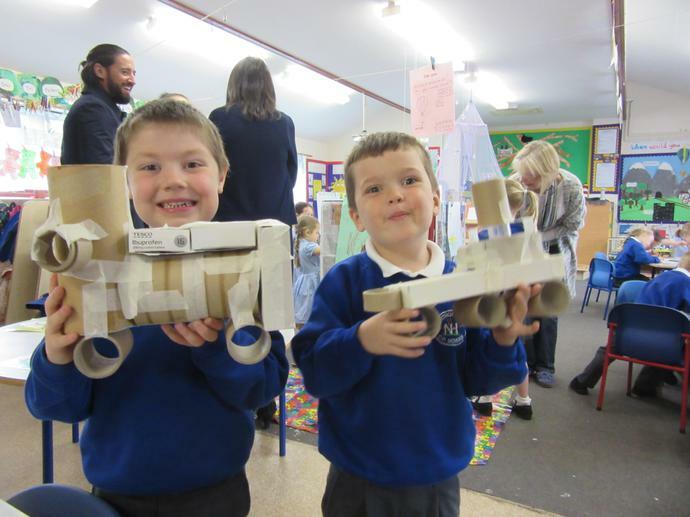 We made models of transport using 3D shapes. 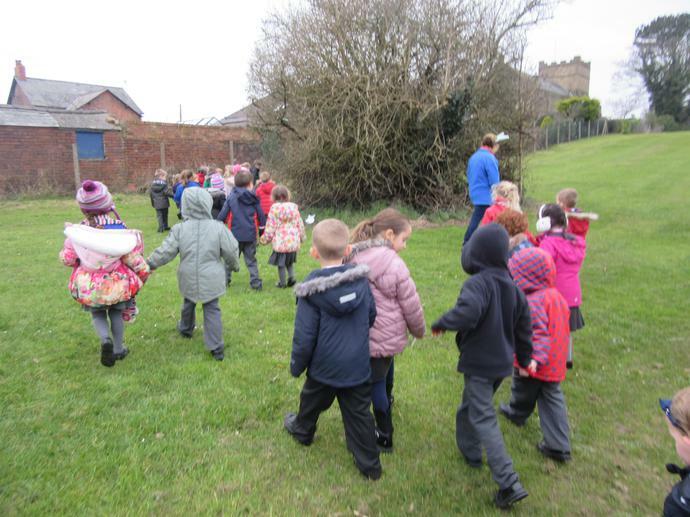 Going on a journey in PE. 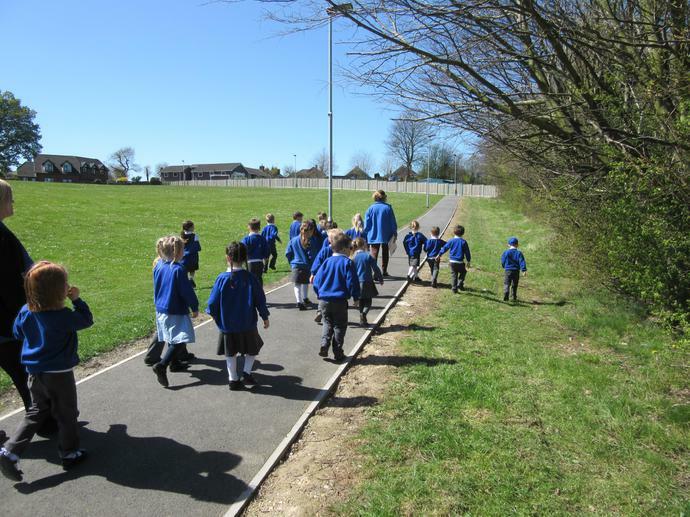 We went on a journey on our bikes and scooters. 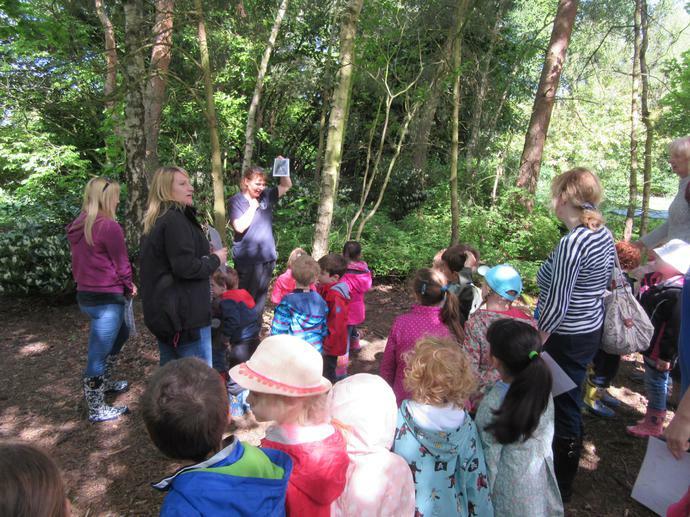 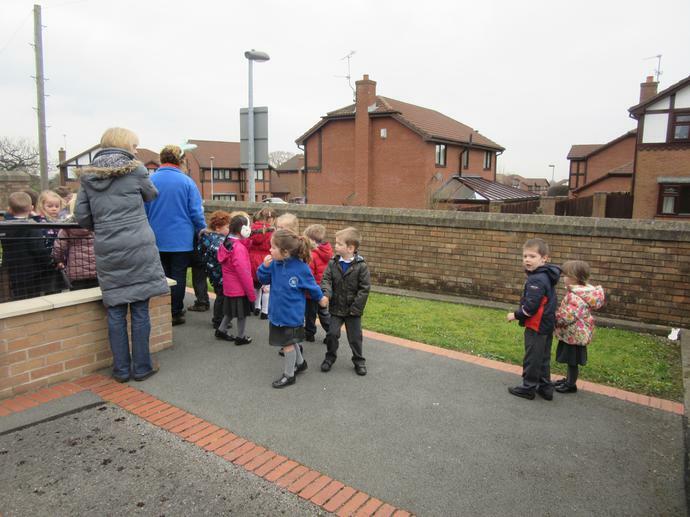 We followed instructions on our walking journey and listened to a story in the forest. 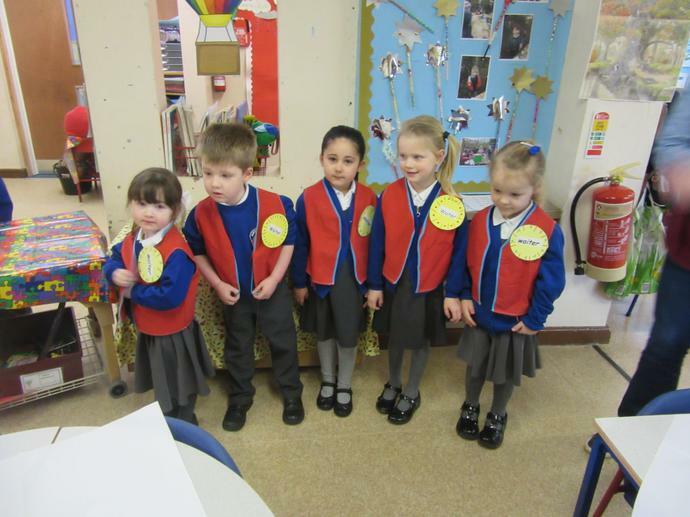 We would like to announce the safe arrival of Ebony Frances Kent. 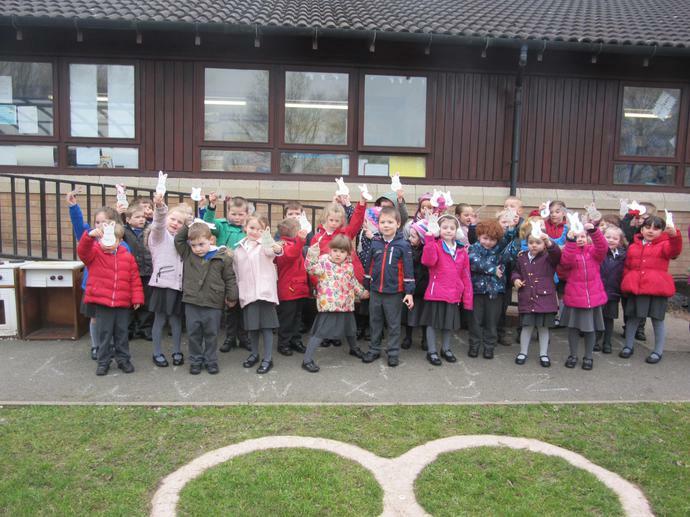 Congratulations to Mr and Mrs Kent. 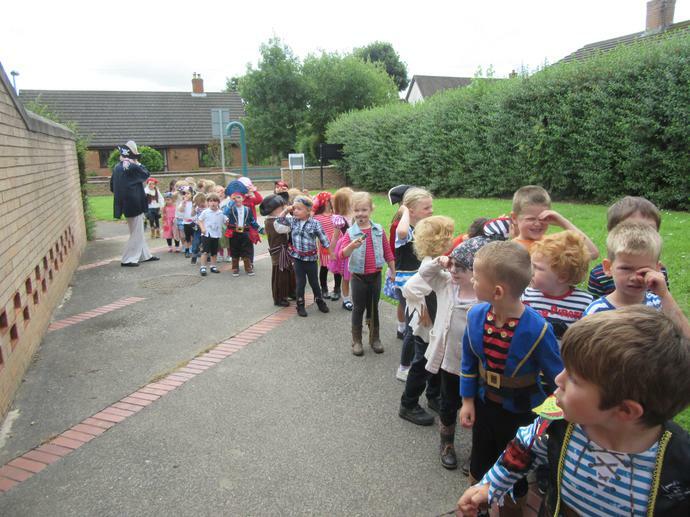 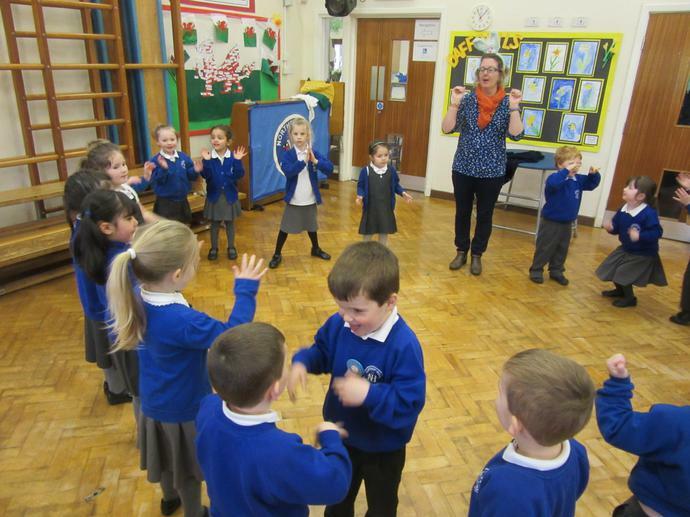 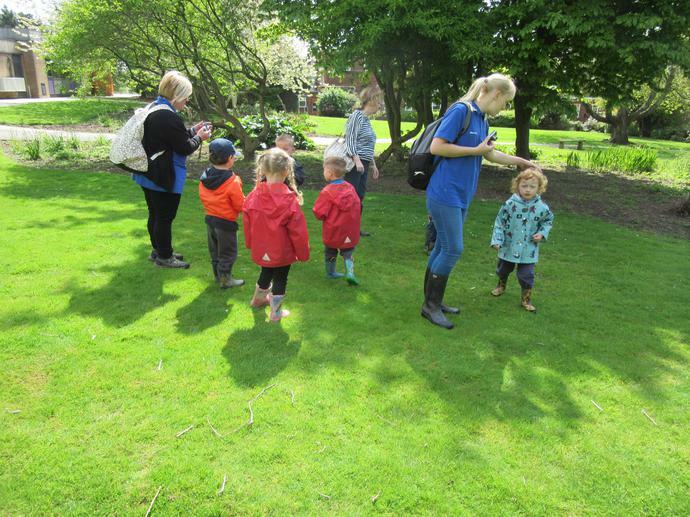 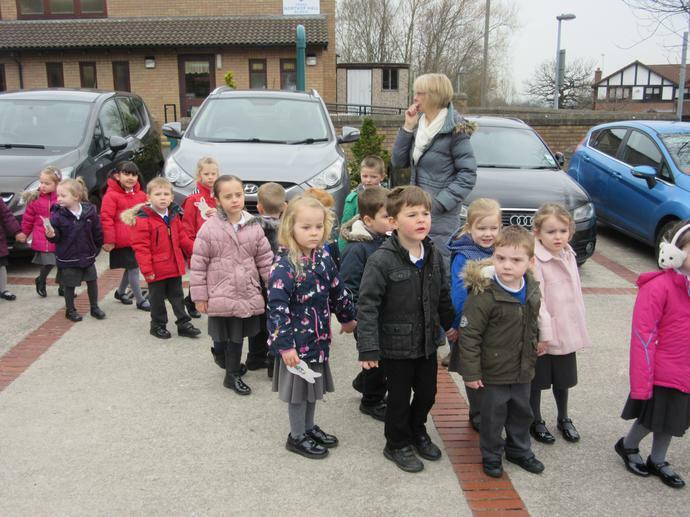 We had fun on our trip to Northop College. 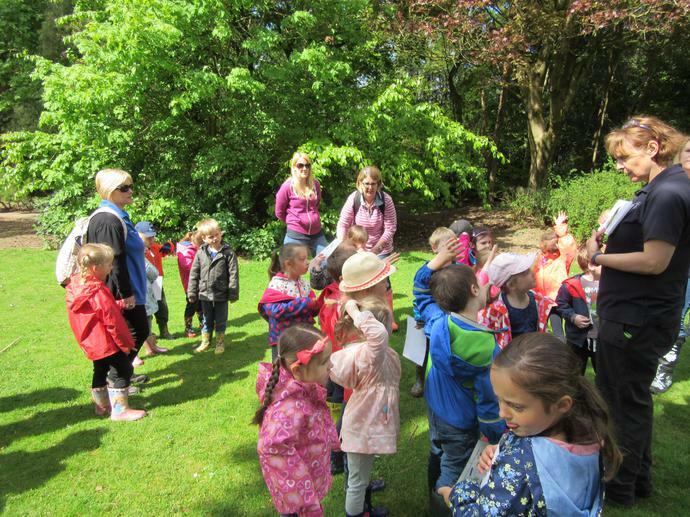 Please remember our school trip to Northop College is on Tuesday 17th May 2016. 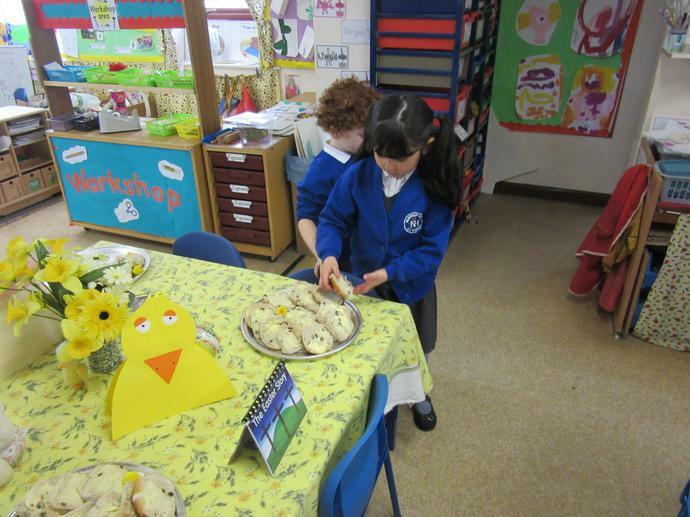 They will not need money or sweets. 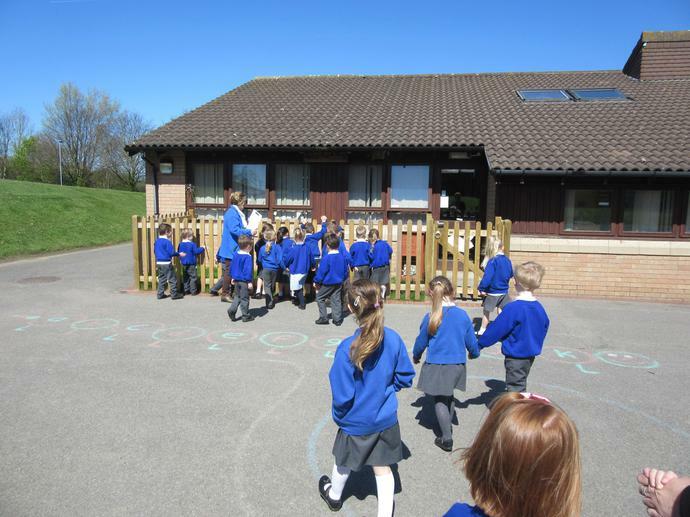 Wednesday 27th April 2016 - Bring a bike to school day. 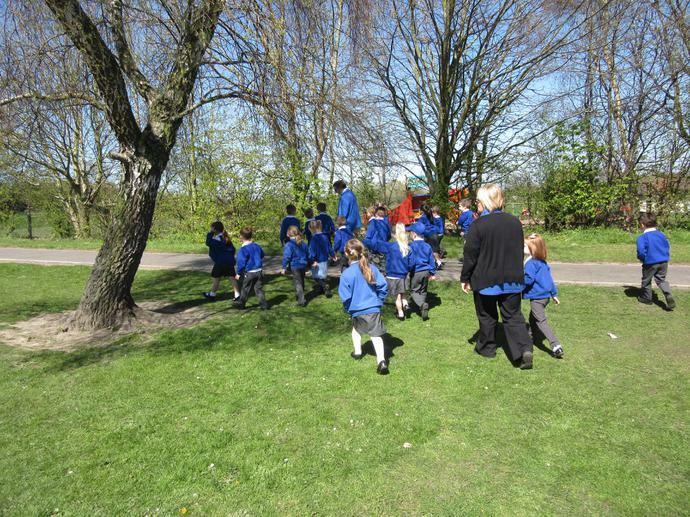 As part of our Journeys topic, we are looking at different ways of travelling. 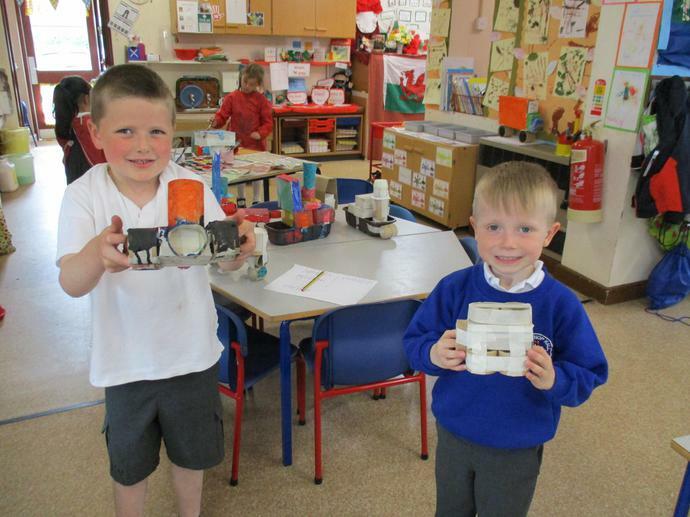 If your child has a bike or scooter please can they bring it to school on Wednesday? 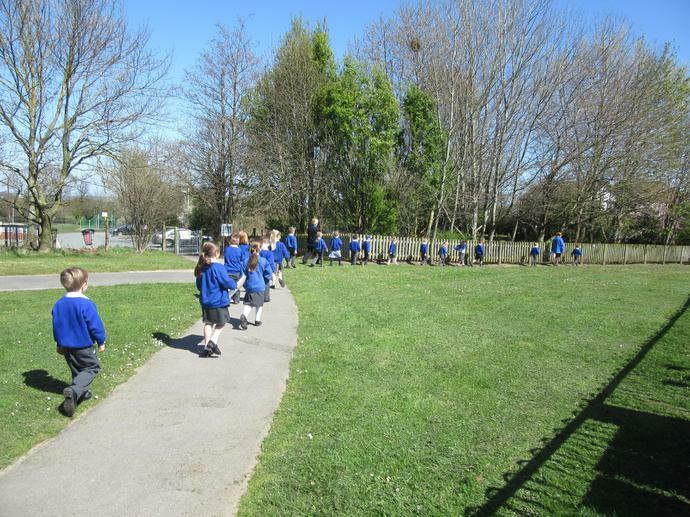 The bike or scooter must be in good working order. 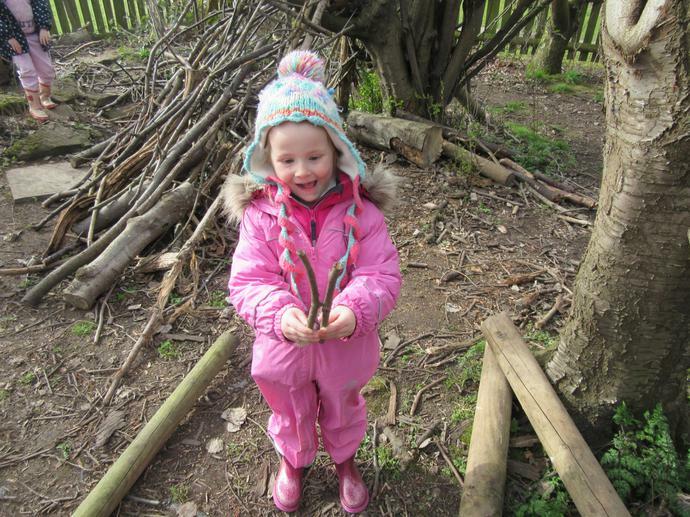 To keep your child safe, they must have a safety helmet. 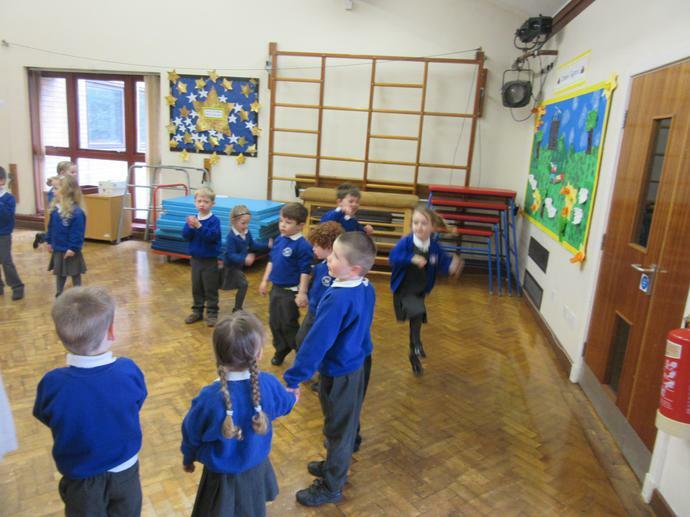 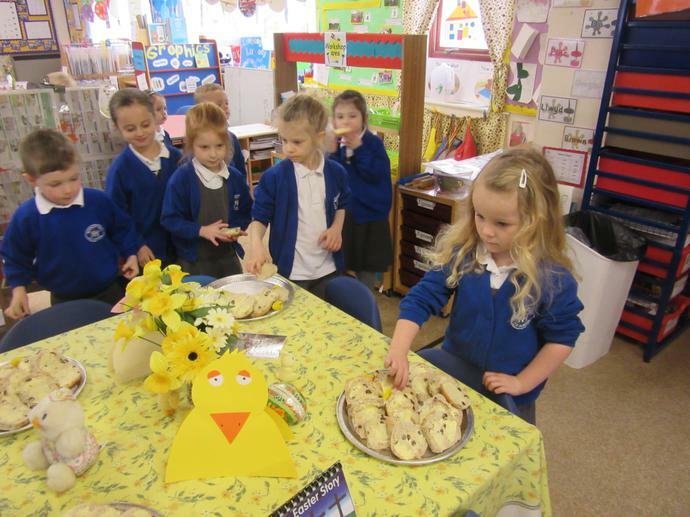 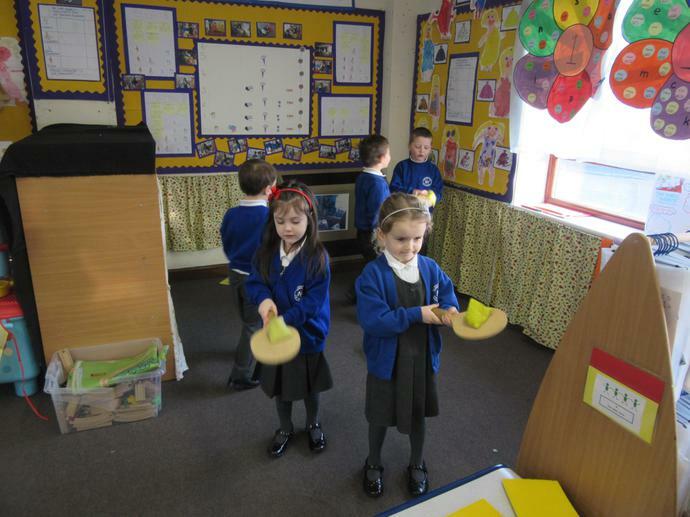 This term our topic is Celebrations. 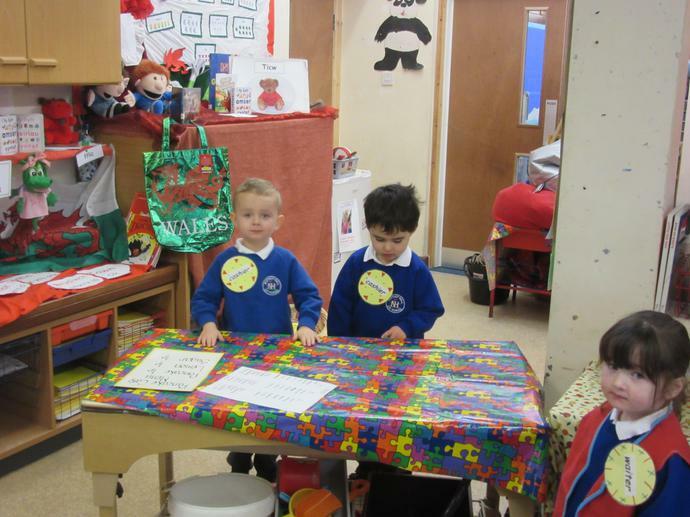 Here are some of the special days we have celebrated. 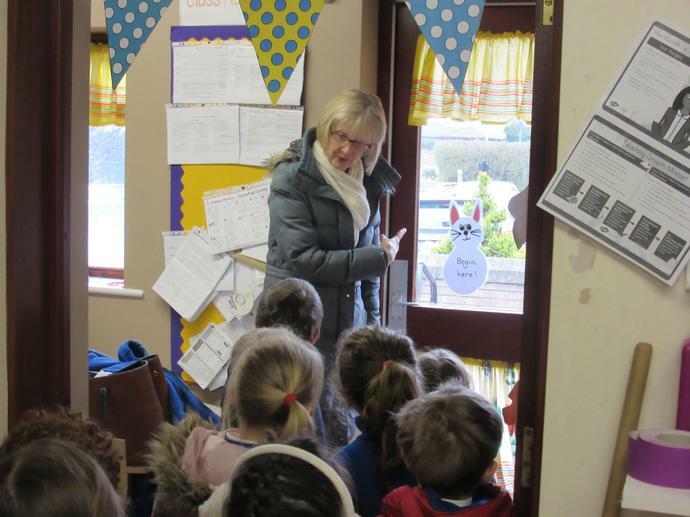 We listened to the Gelert story. 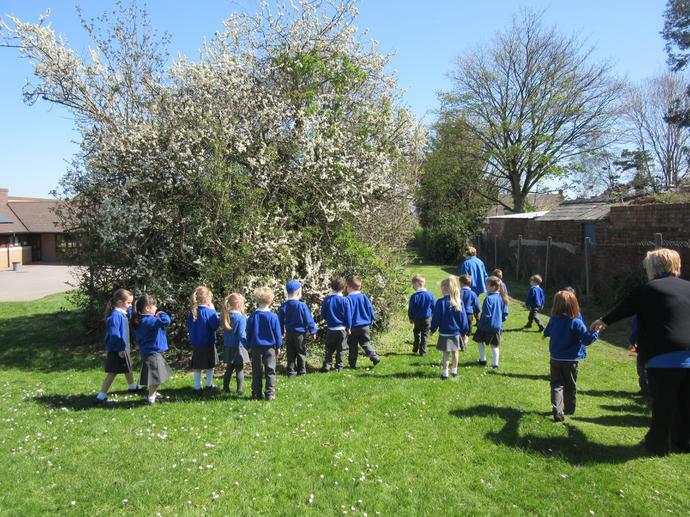 The summer term begins on Tuesday 12th April 2016. 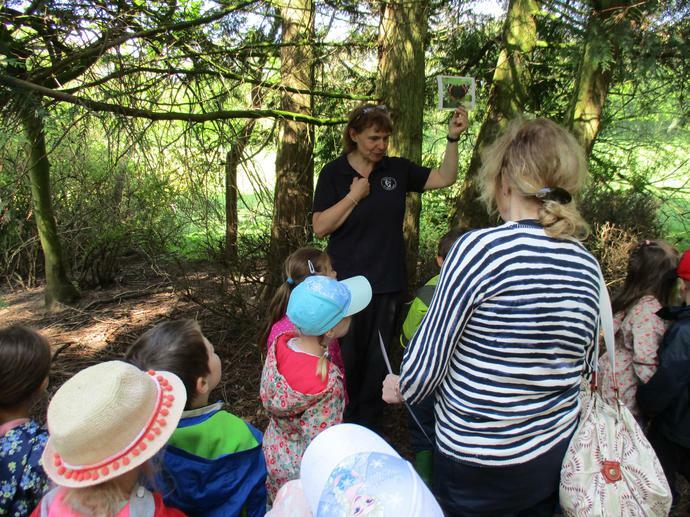 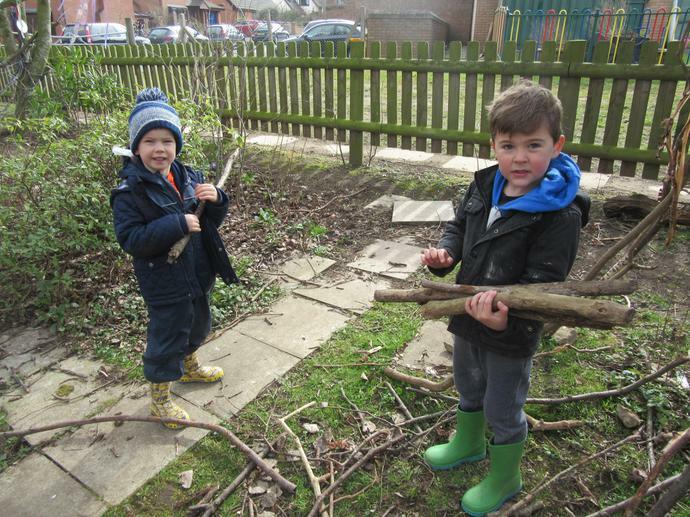 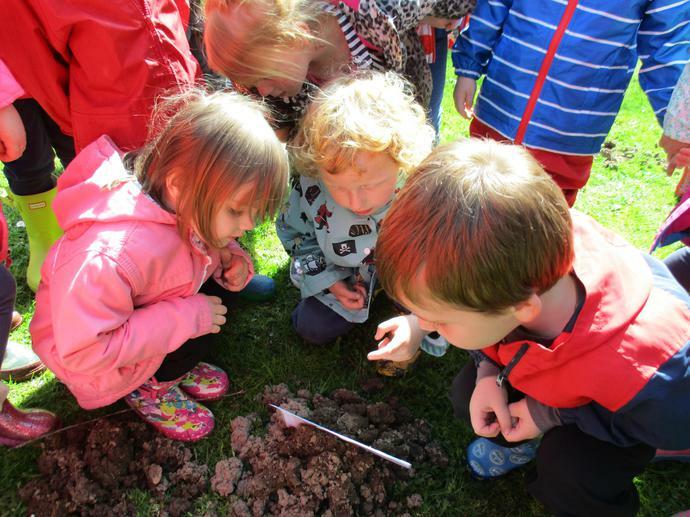 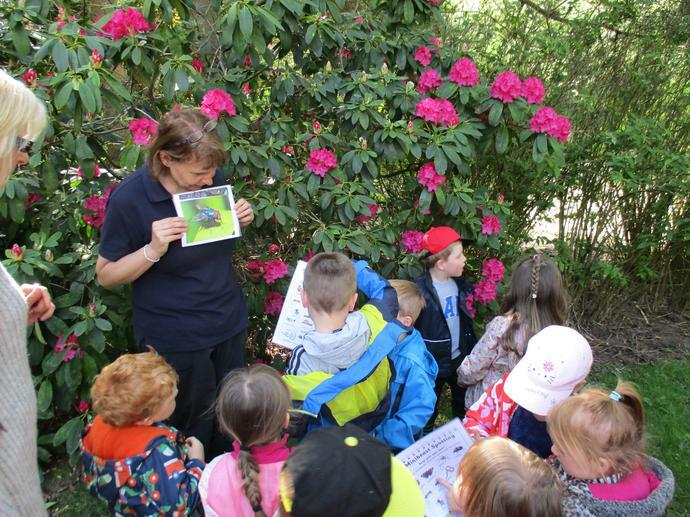 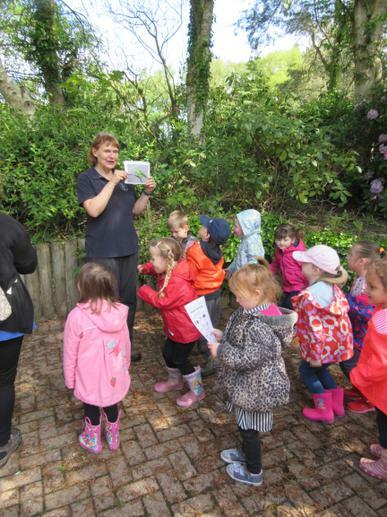 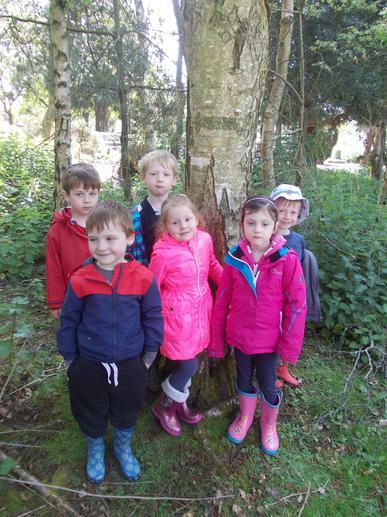 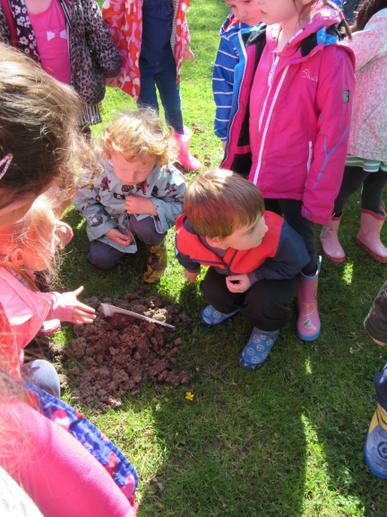 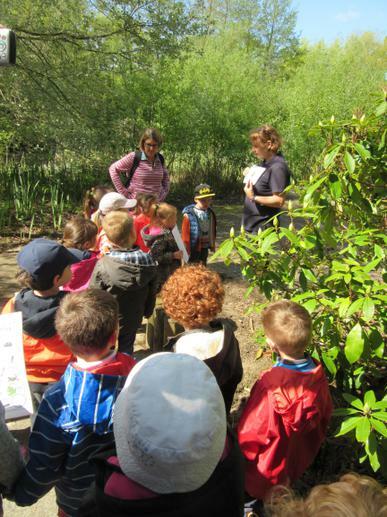 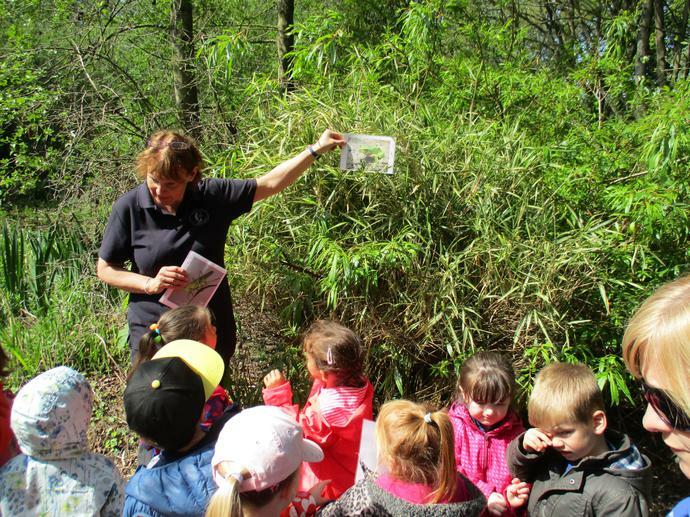 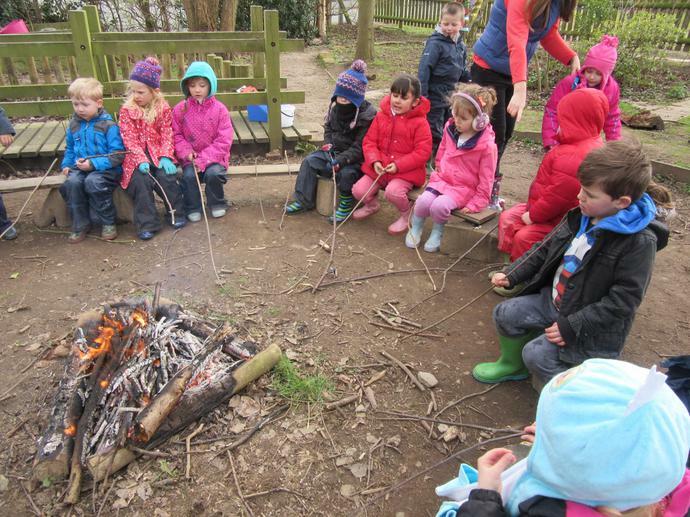 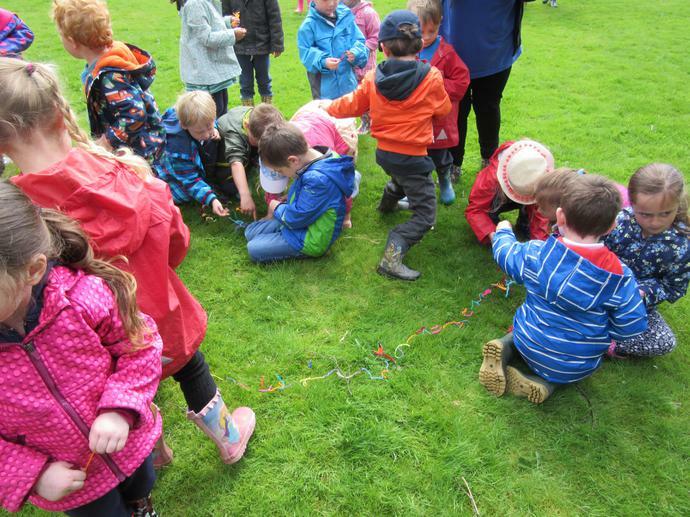 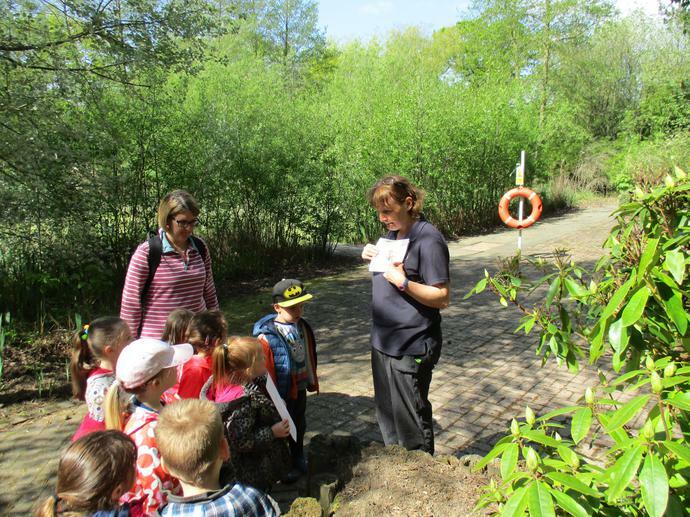 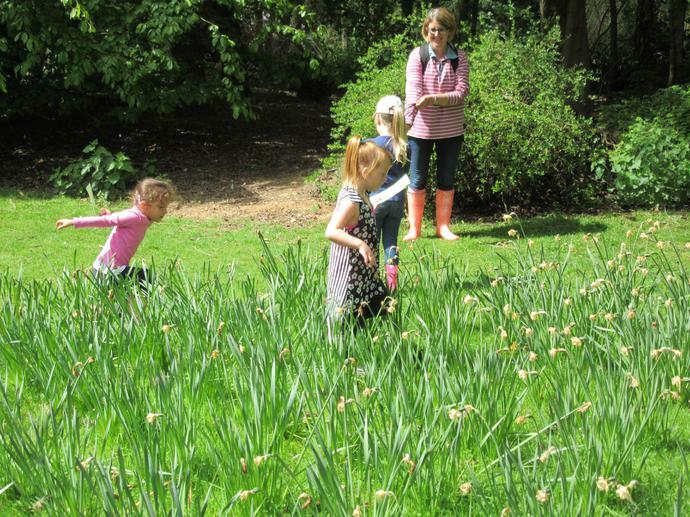 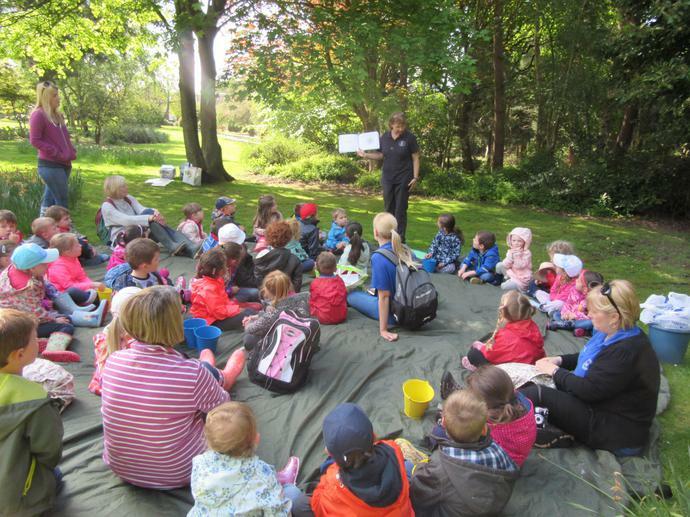 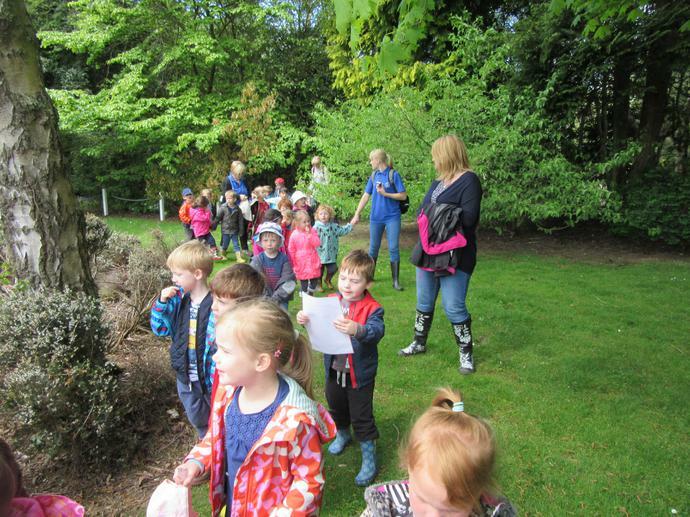 Forest School will start on Thursday 14th April 2016 for all pupils in Reception. 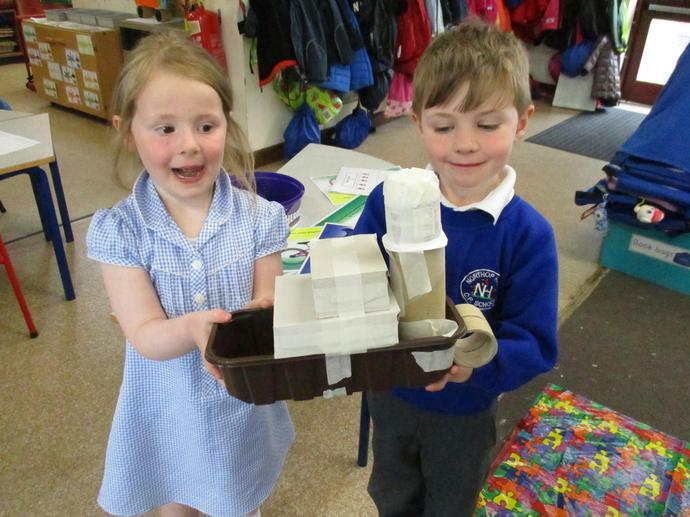 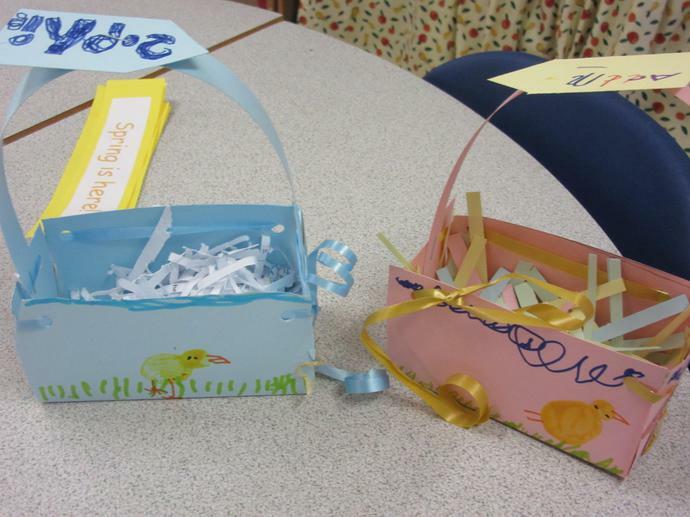 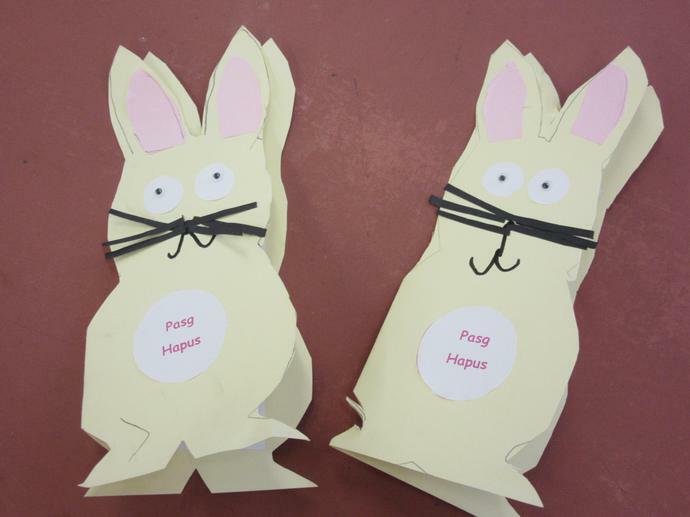 We will focus on our topic 'Journeys' and cover all areas of the curriculum. 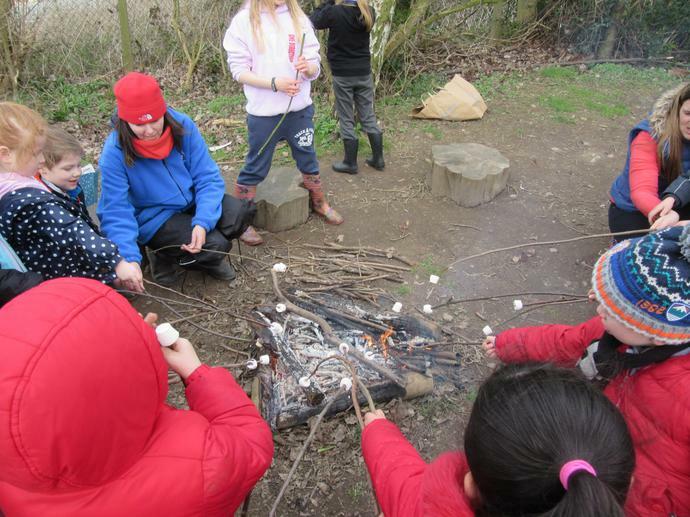 And not to forget, drinking hot chocolate and eating biscuits! 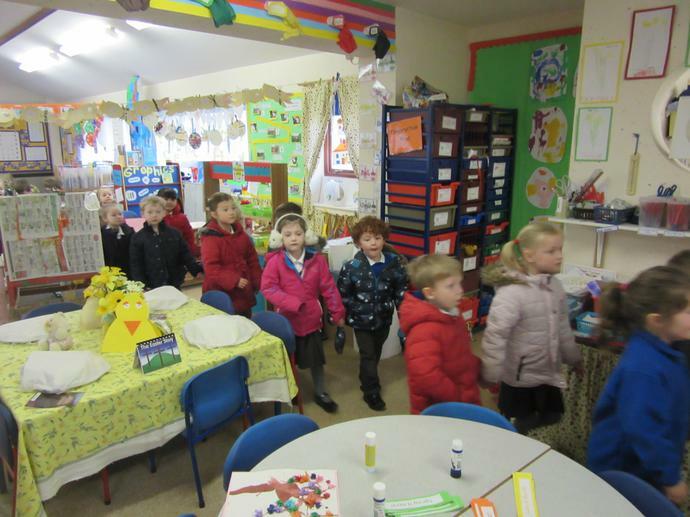 Please remember to wrap up warm and dress appropriately! 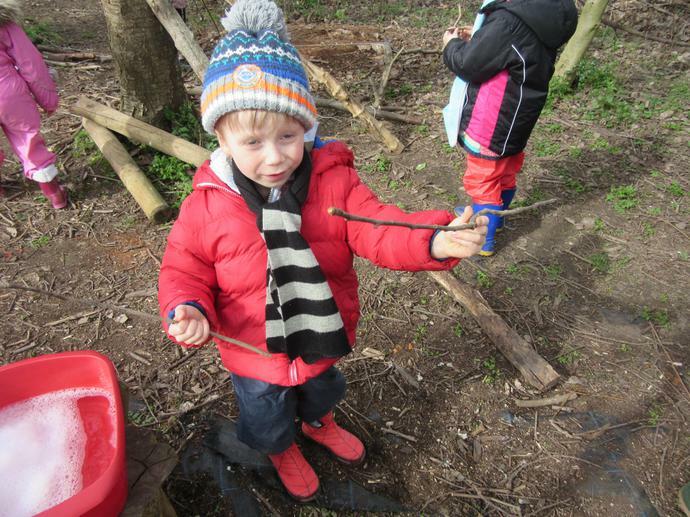 Your child should have at least two layers of tops on with warm trousers. 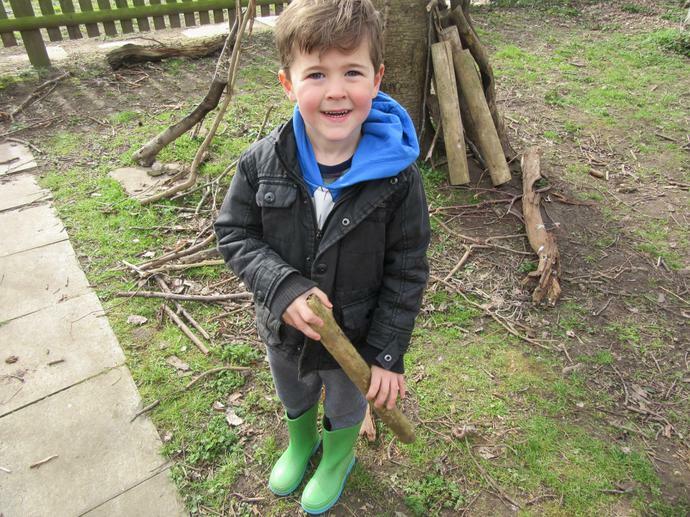 Waterproofs should be over the top. 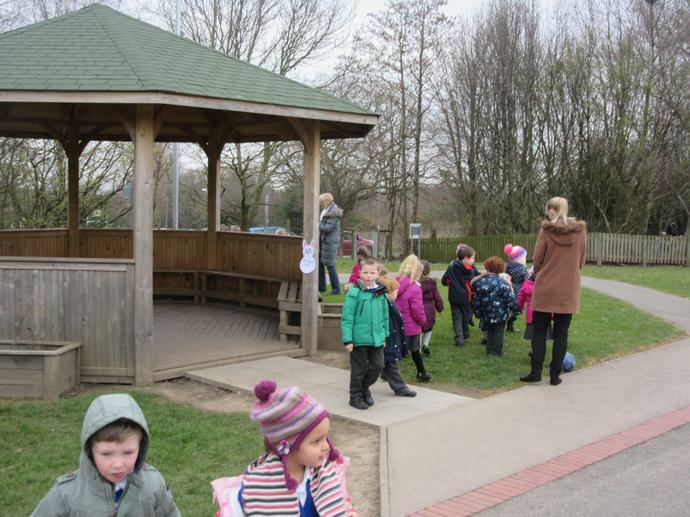 A hat, scarf and gloves should be provided too in case of very cold weather. 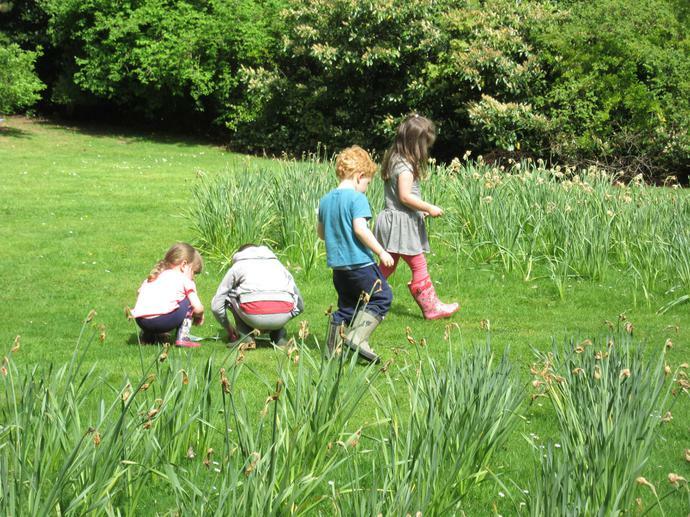 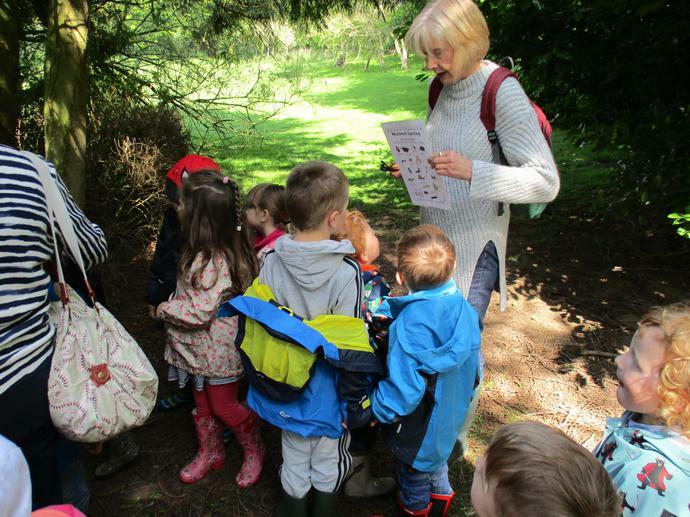 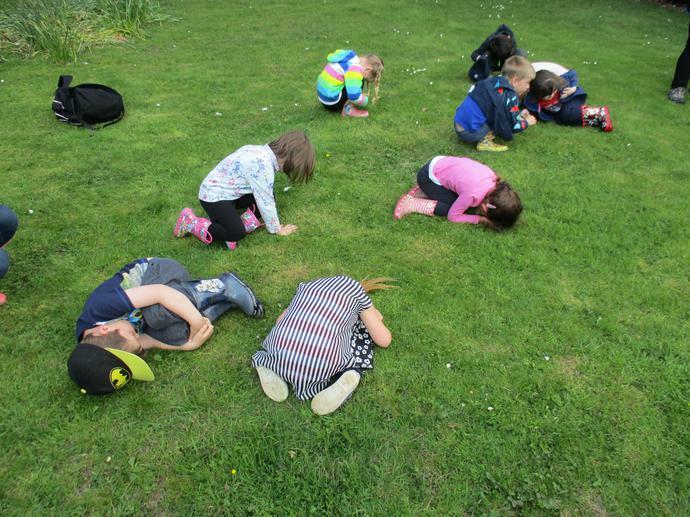 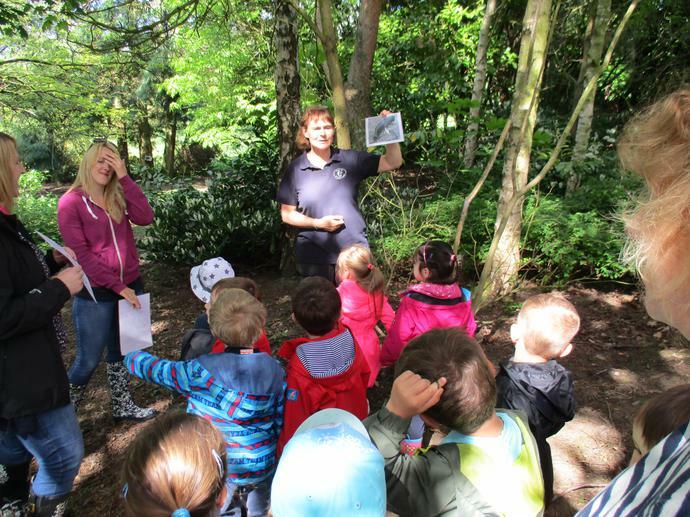 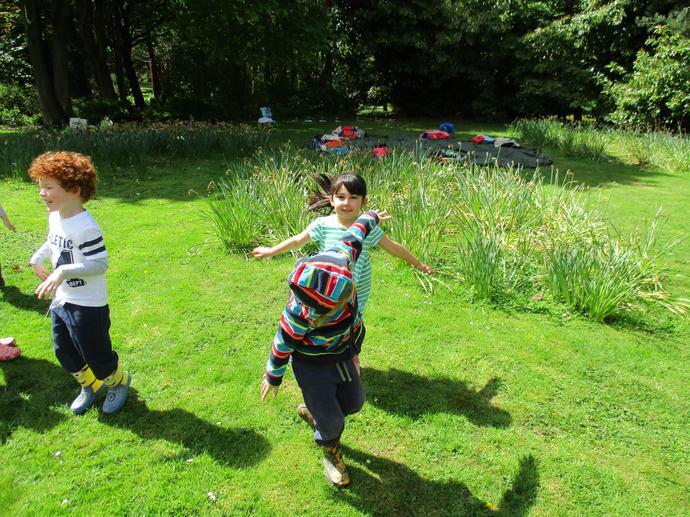 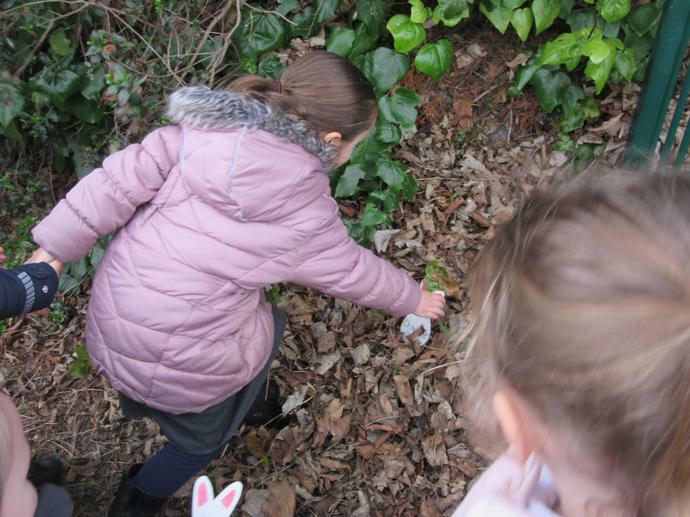 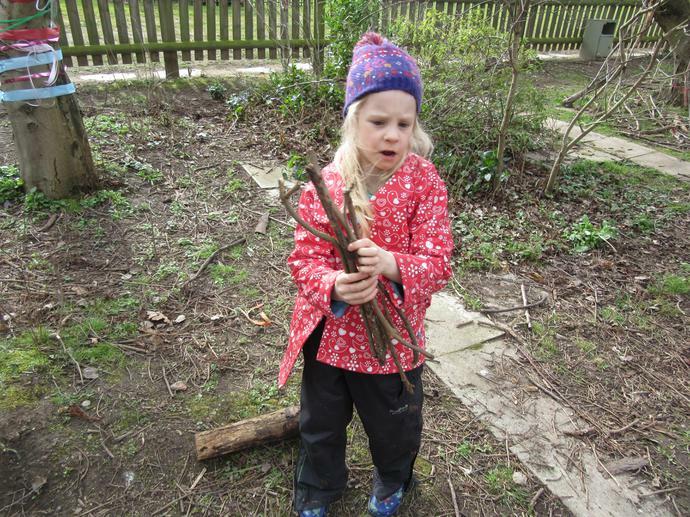 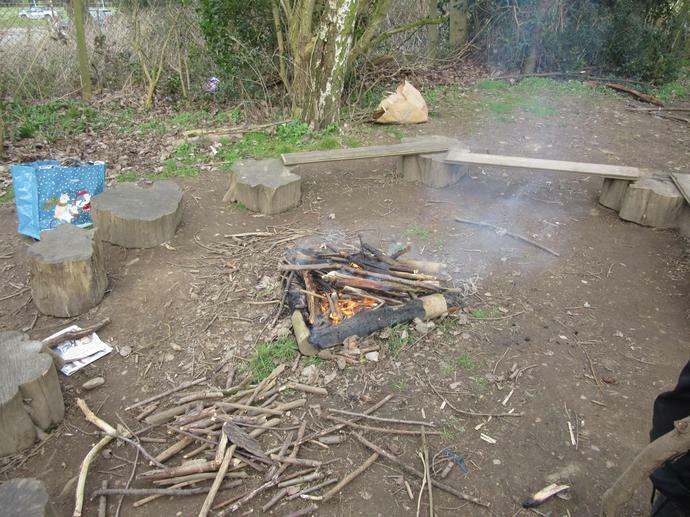 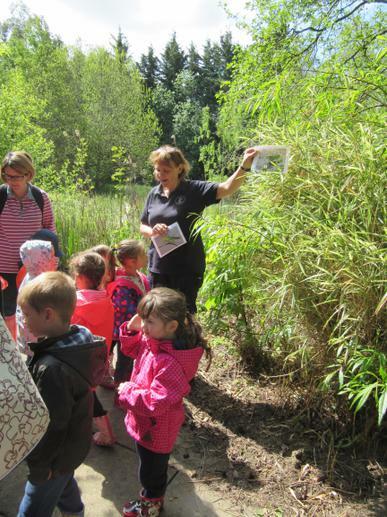 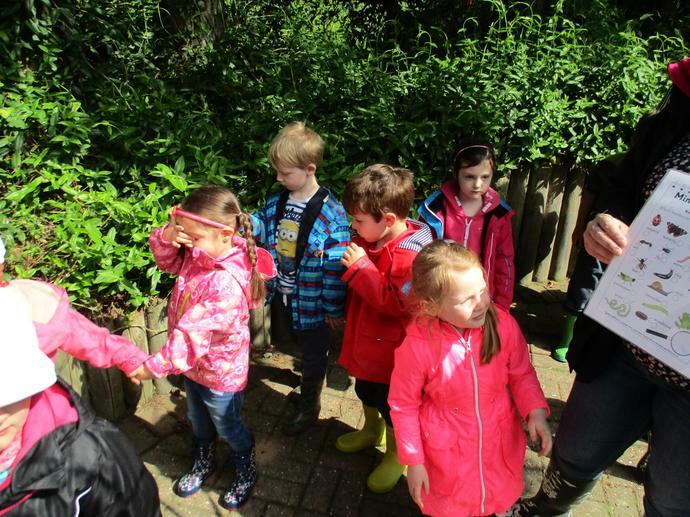 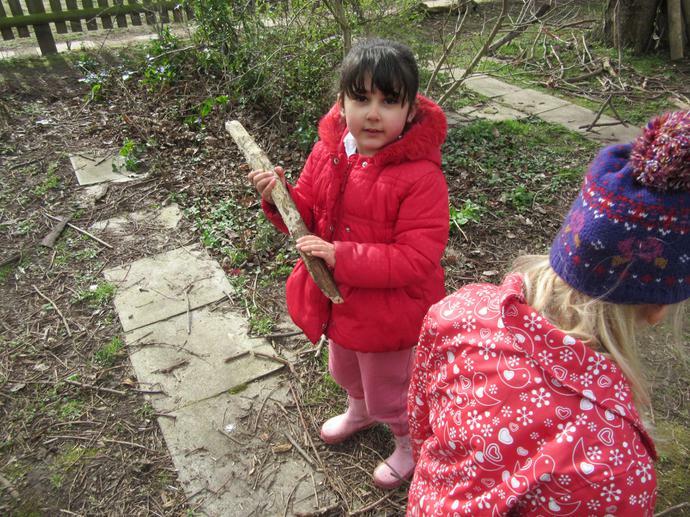 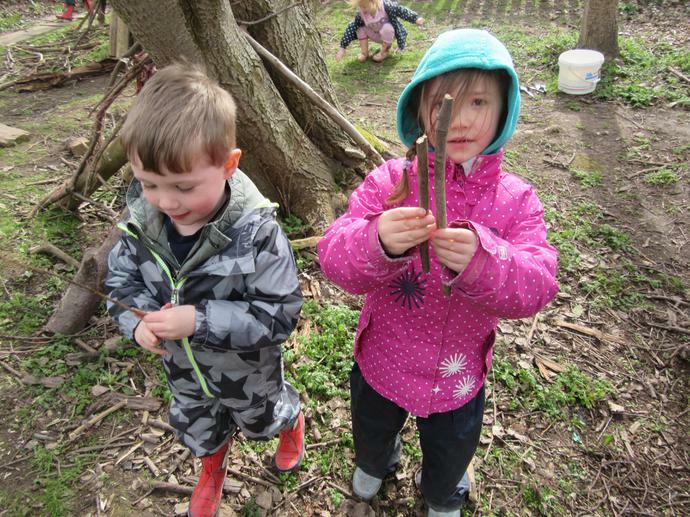 Your child should be dressed ready for forest school when they arrive at school on a Thursday morning (this gives us more time out at Forest School). 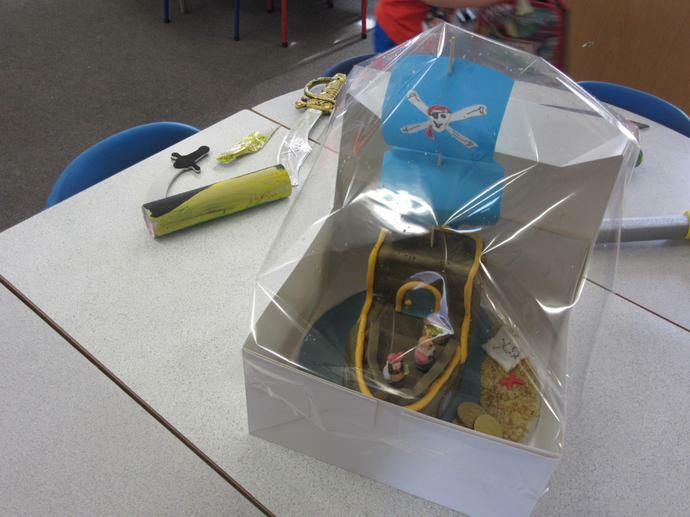 Wellington boots should be in a plastic bag. 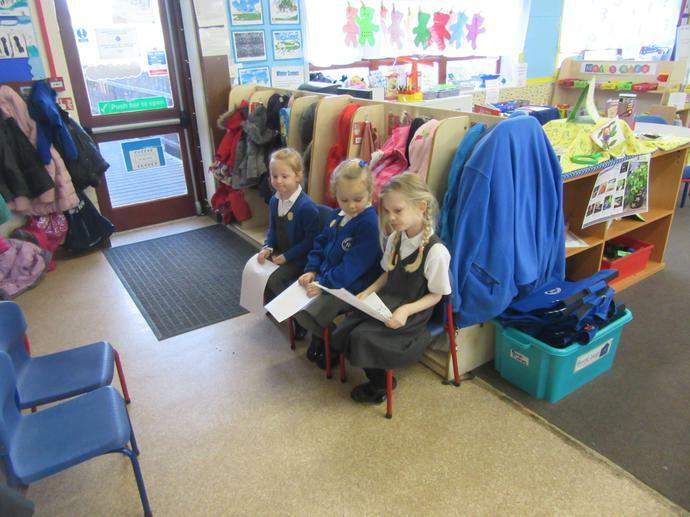 Uniform is not needed on a Thursday. 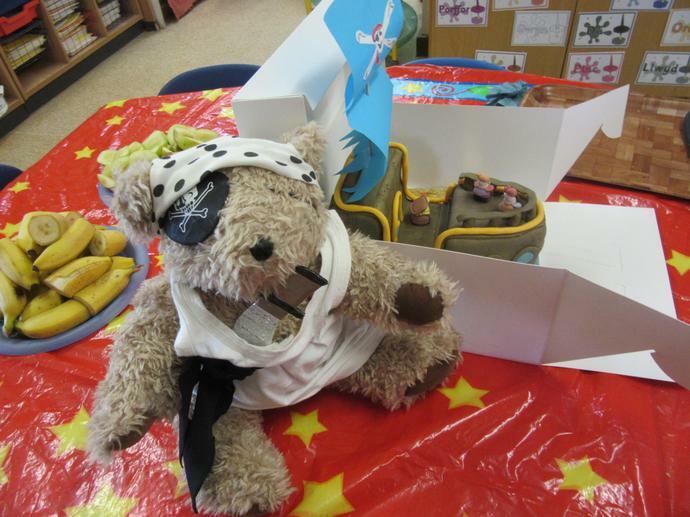 If you are chosen to take Teddy home you will need to read a book to him. 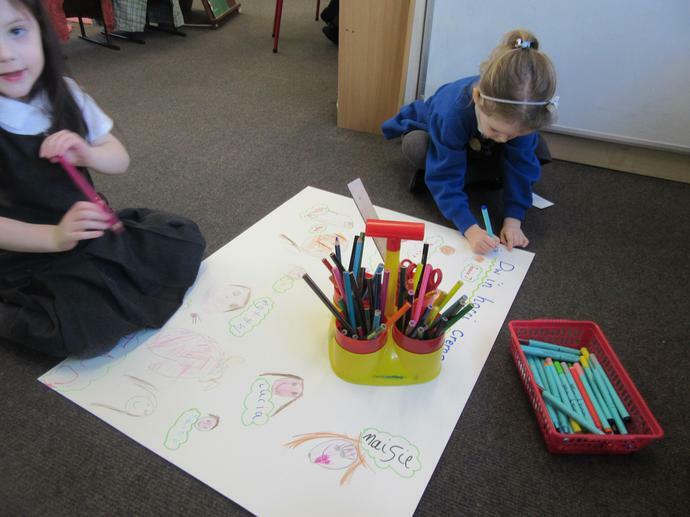 Ask an adult to help you write about the story and then you can draw a picture.